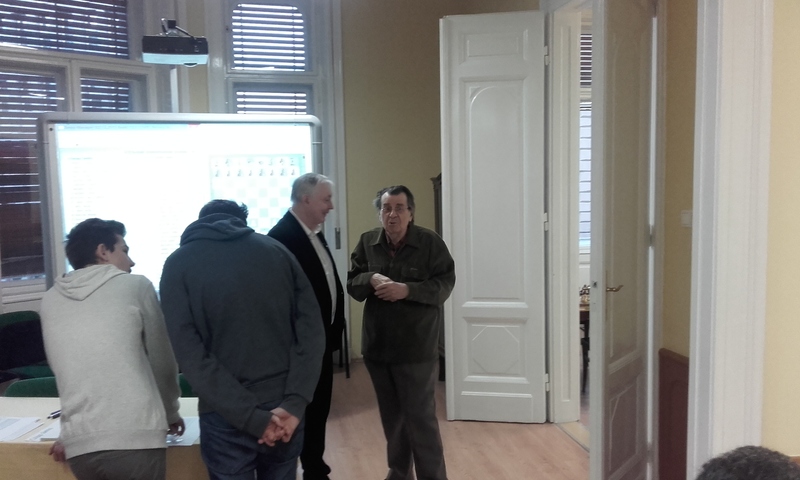 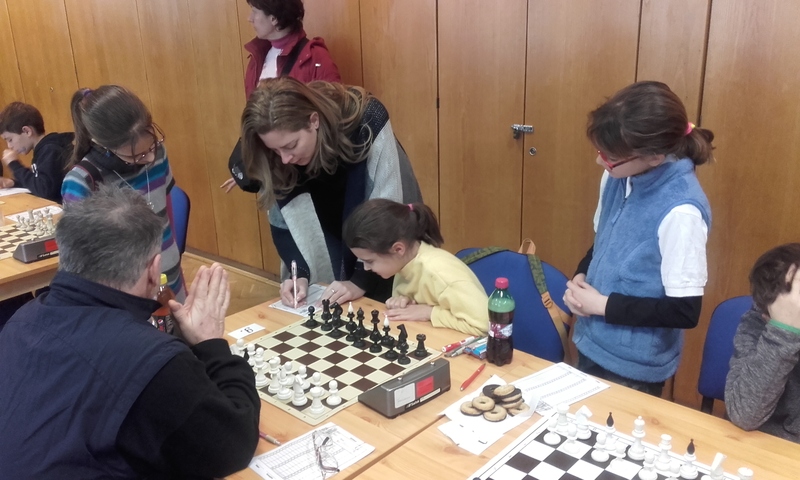 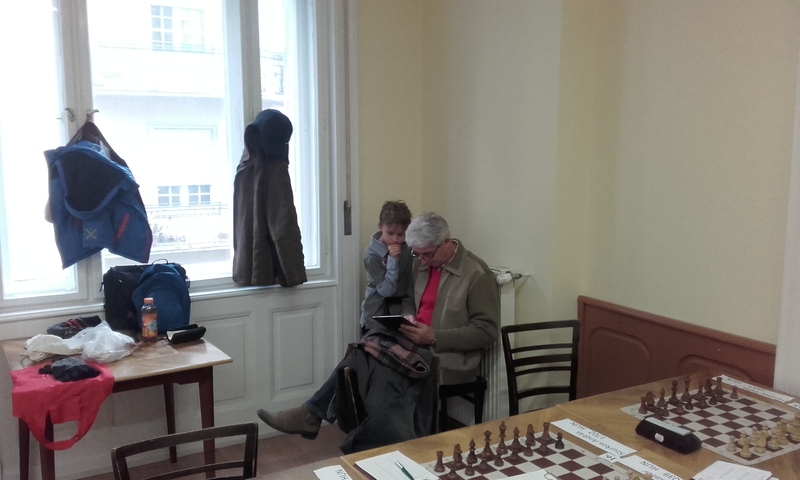 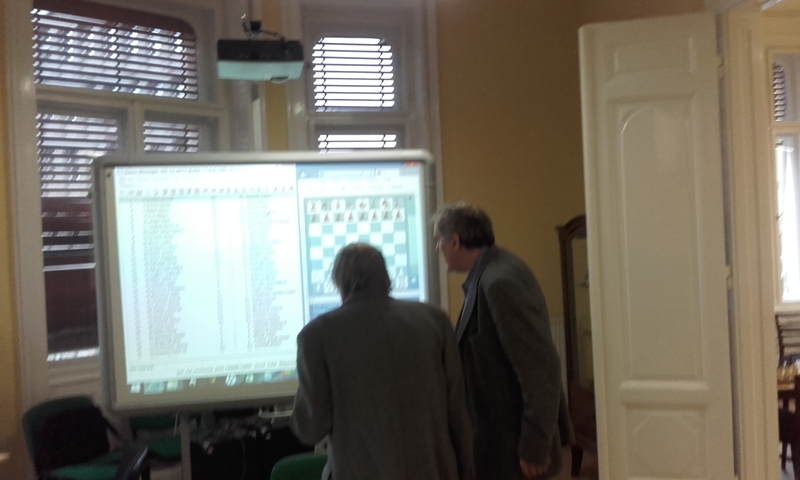 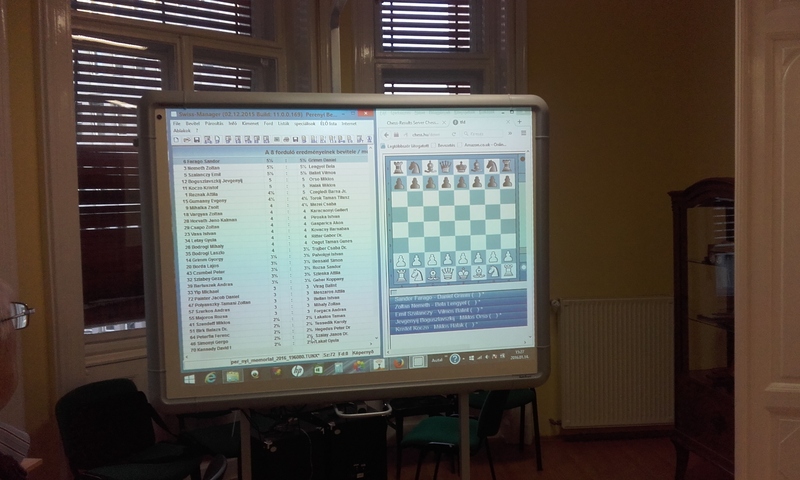 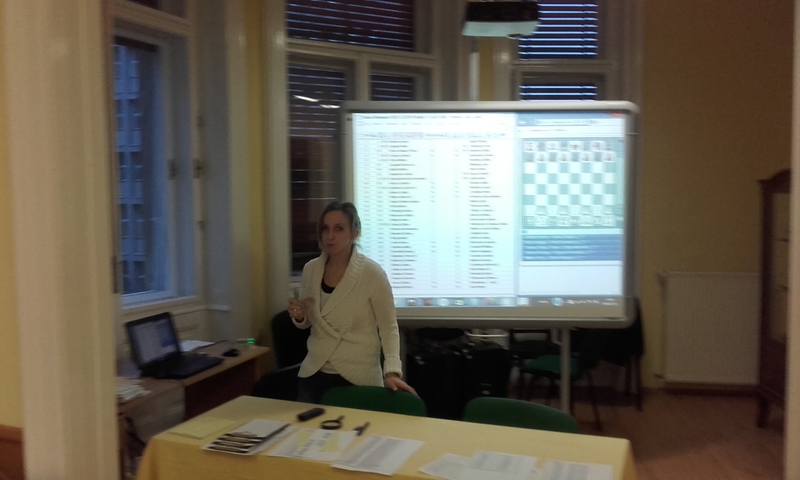 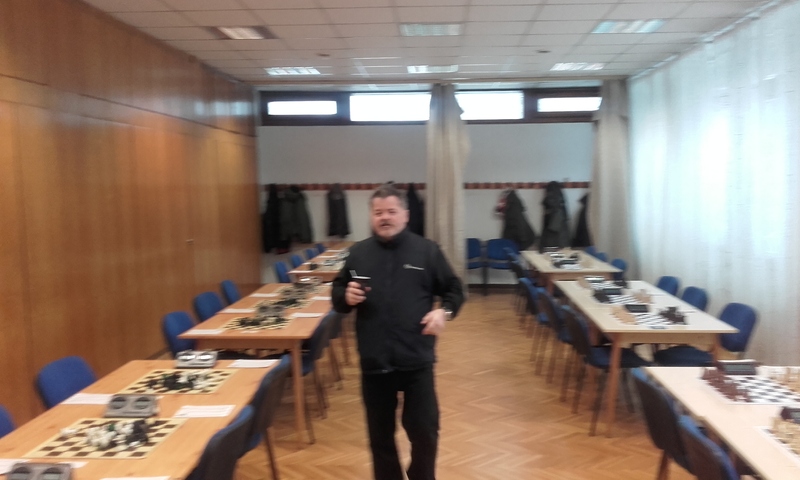 See Chessbase for game and story. 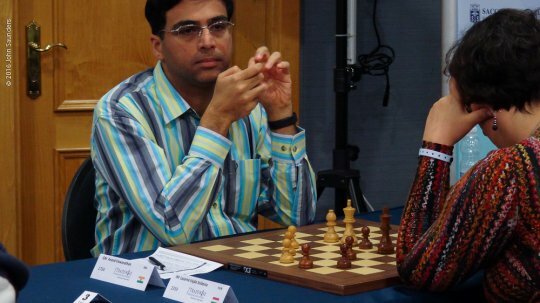 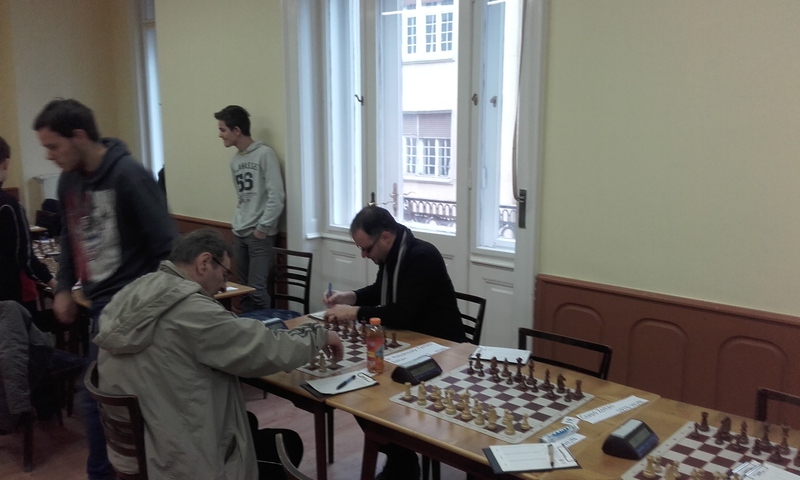 Vajda,Szidonia drew Anand for the big upset of the round. 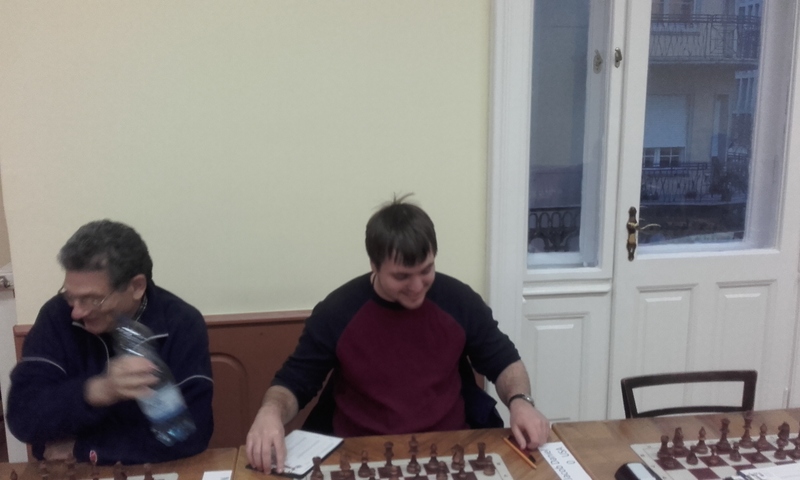 It was a good round for MTK. 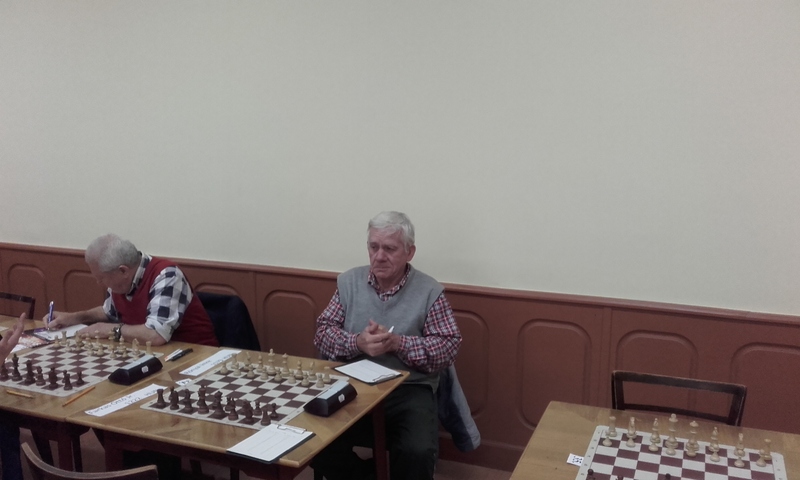 Teams III and IV but V suffered defeat. 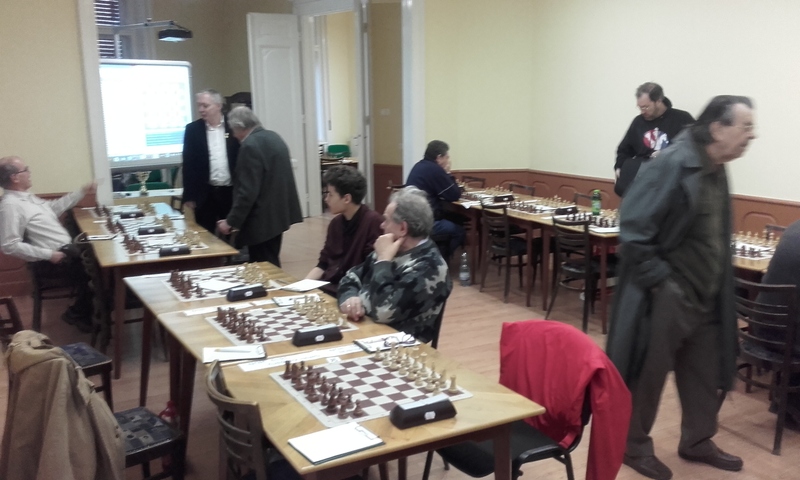 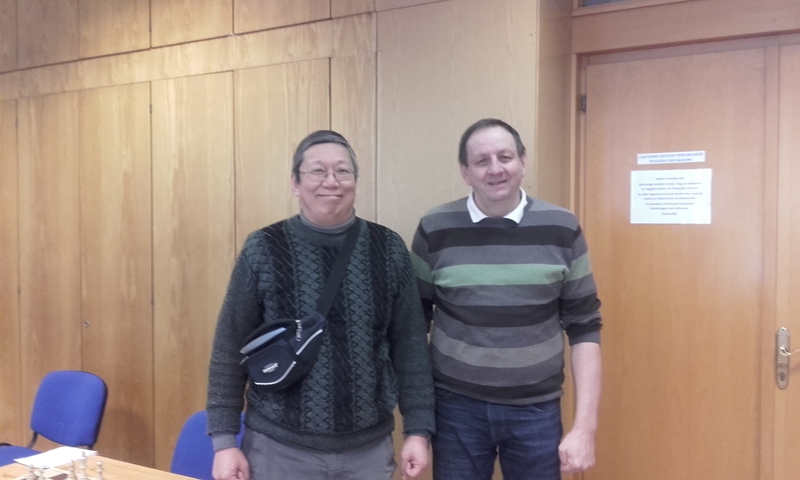 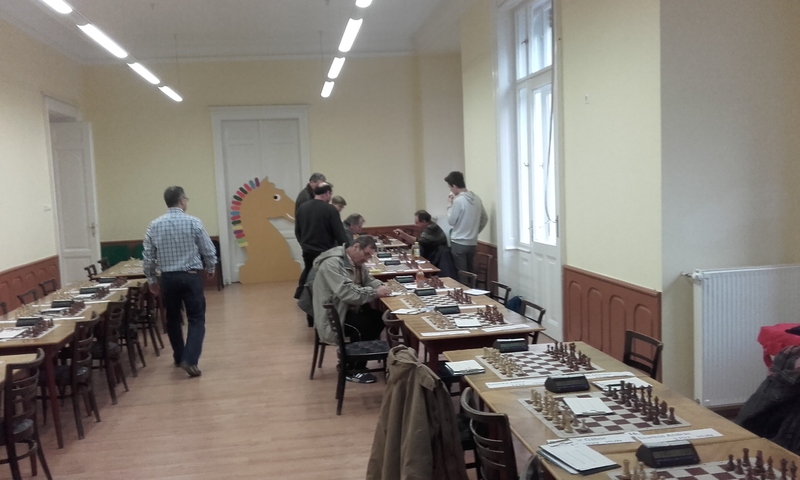 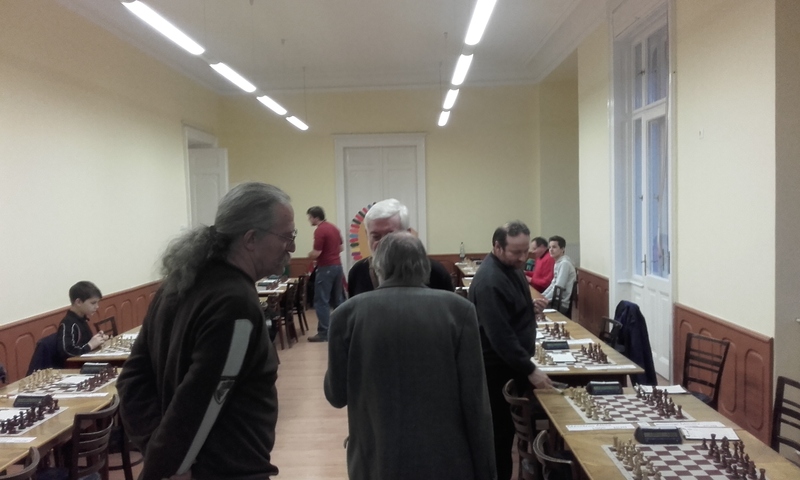 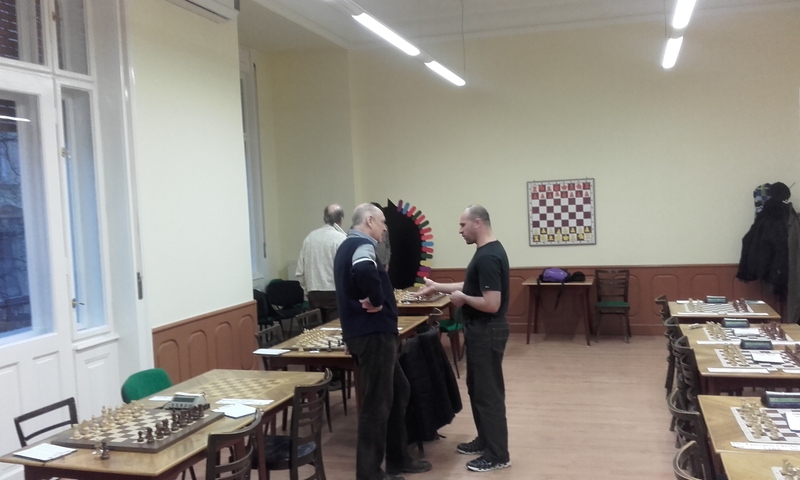 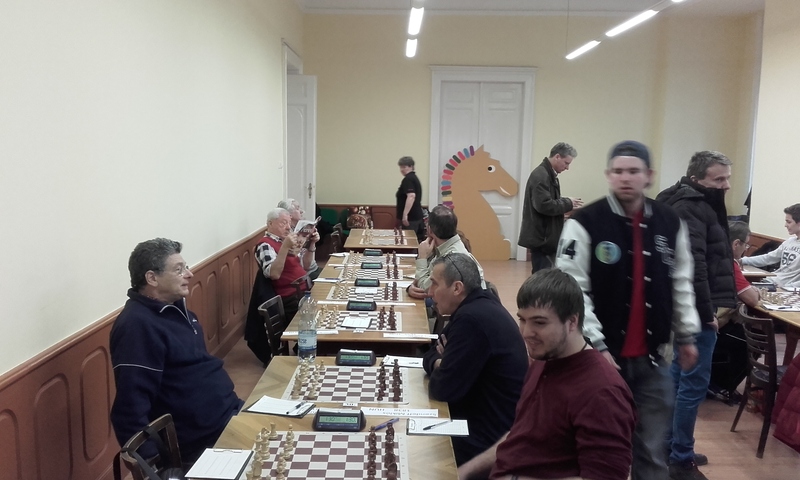 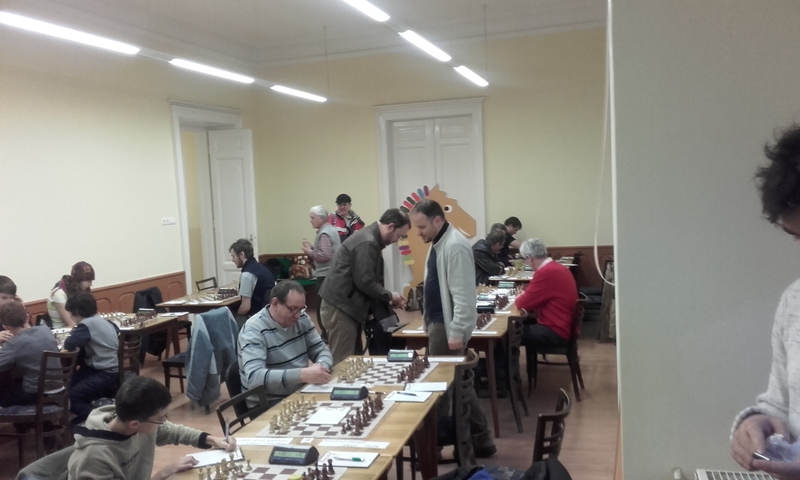 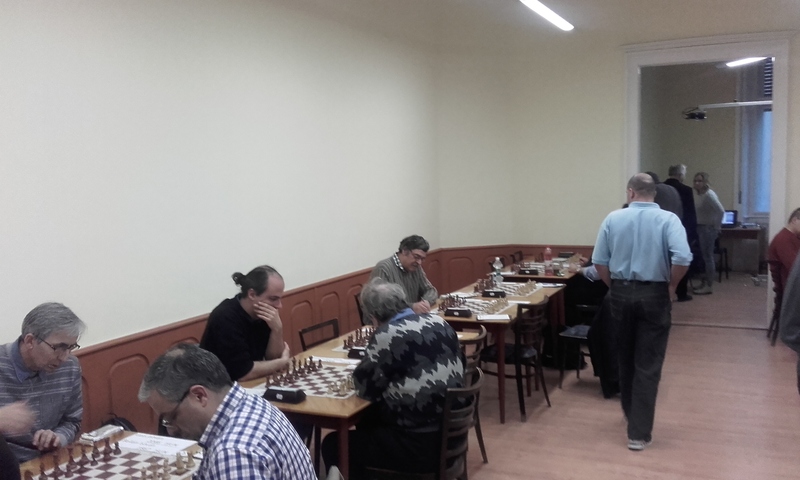 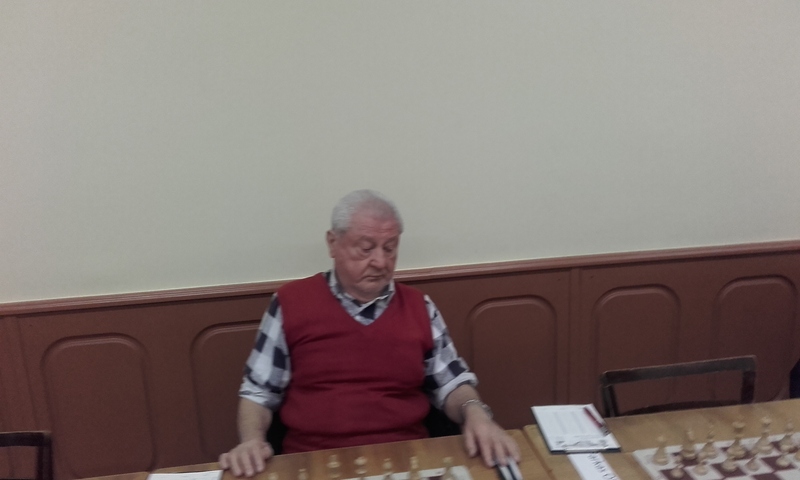 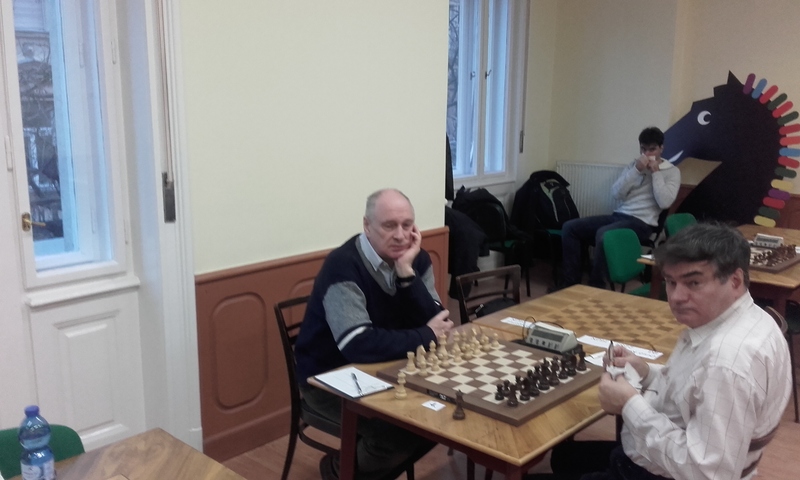 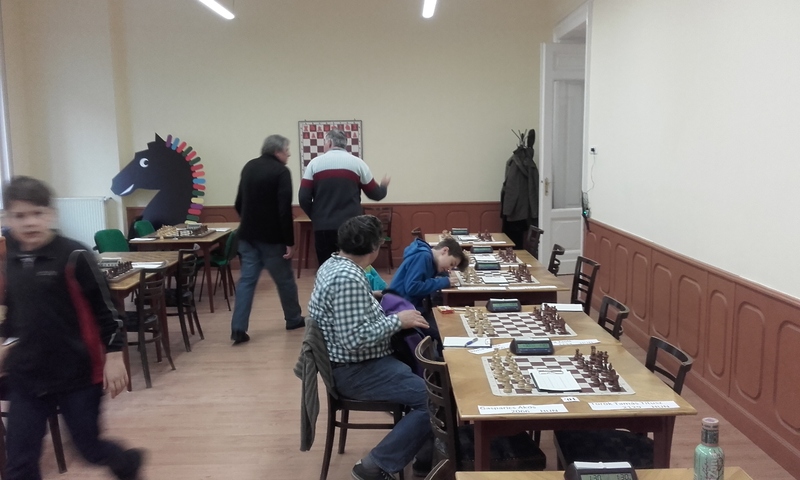 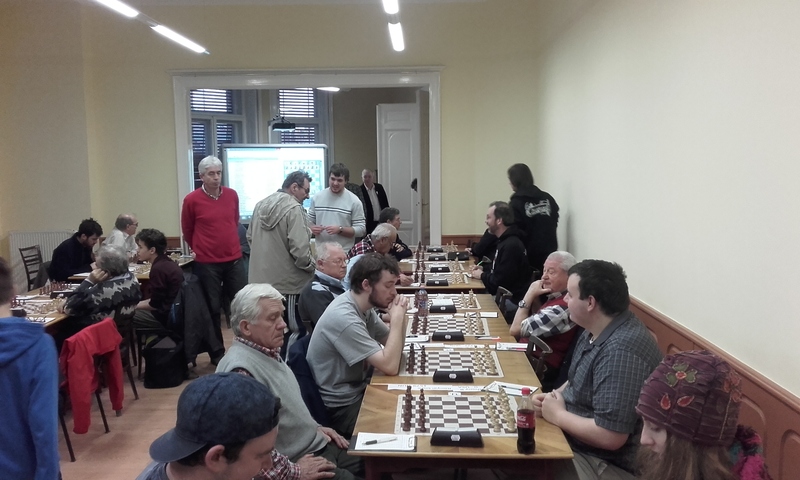 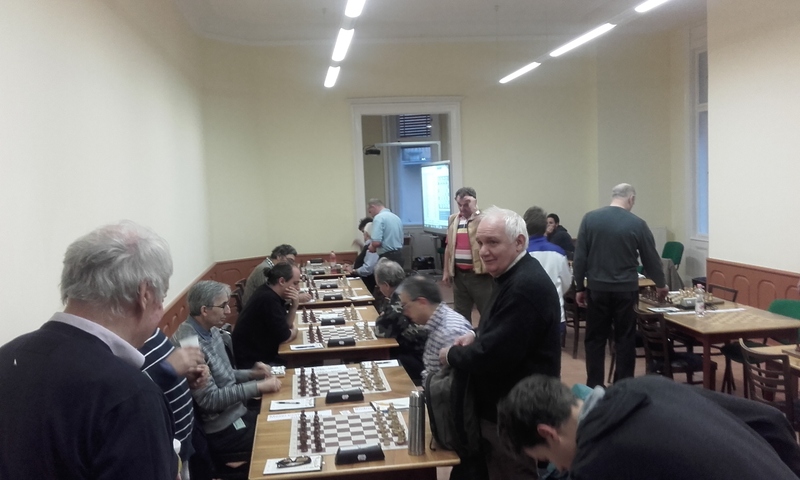 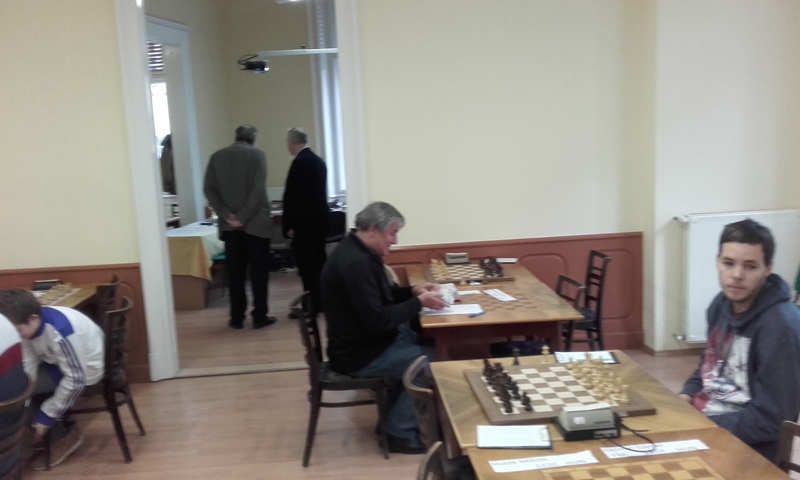 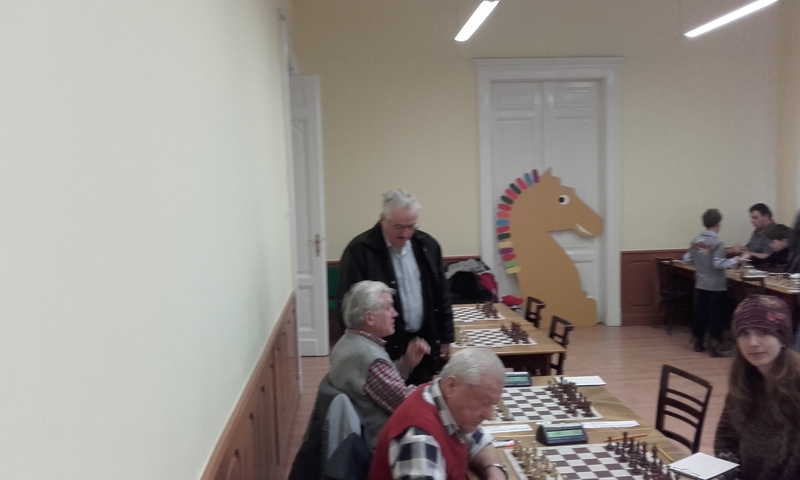 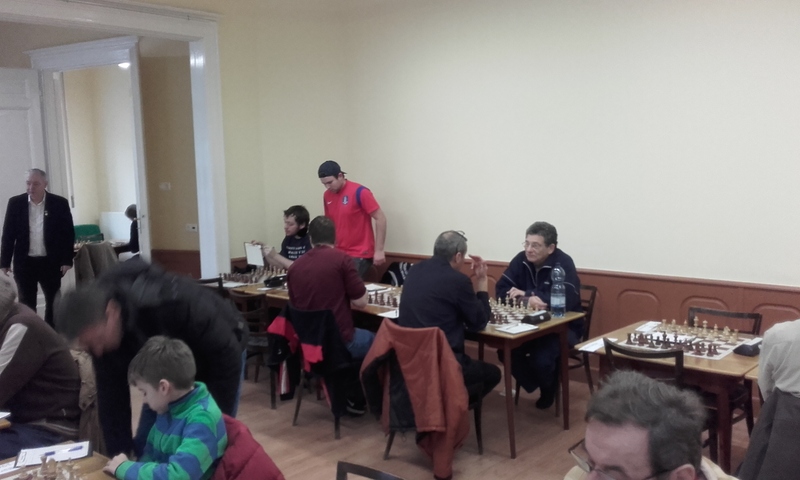 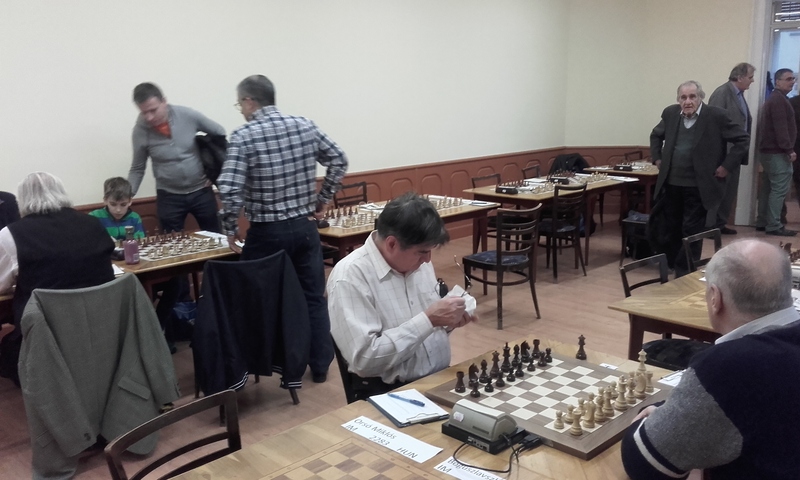 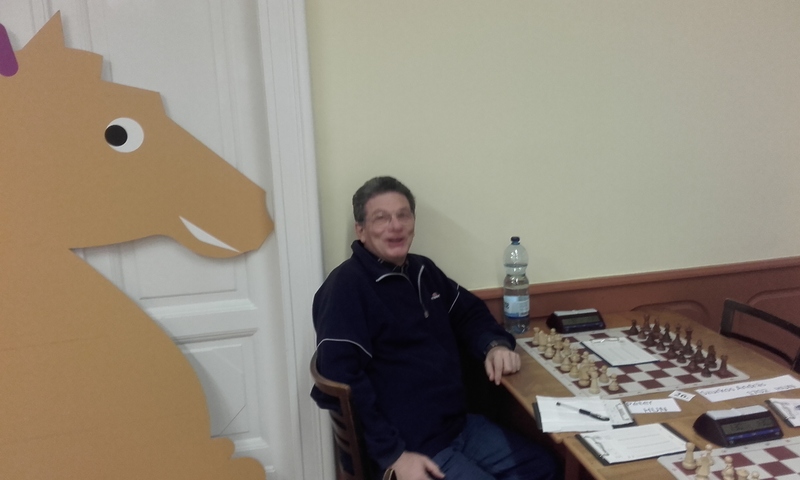 I contributed a lucky win on board 1 over Bartusek,A for MTK IV. 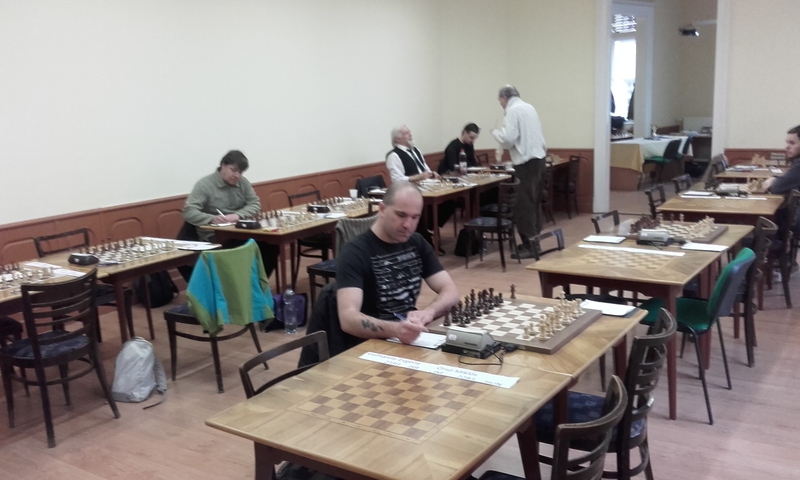 White play the early stages of the game simply horribly but now has a winning attacking going. 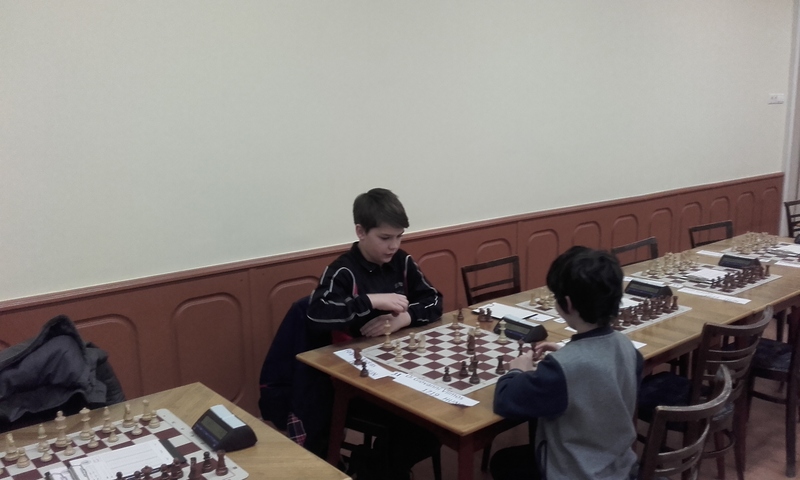 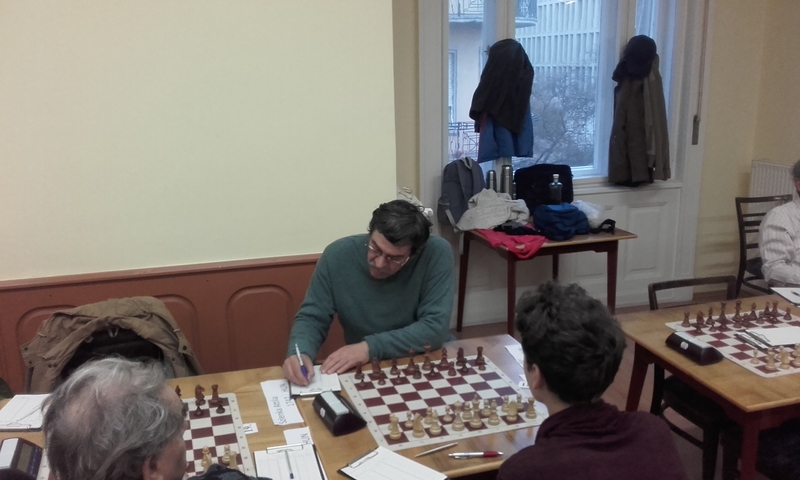 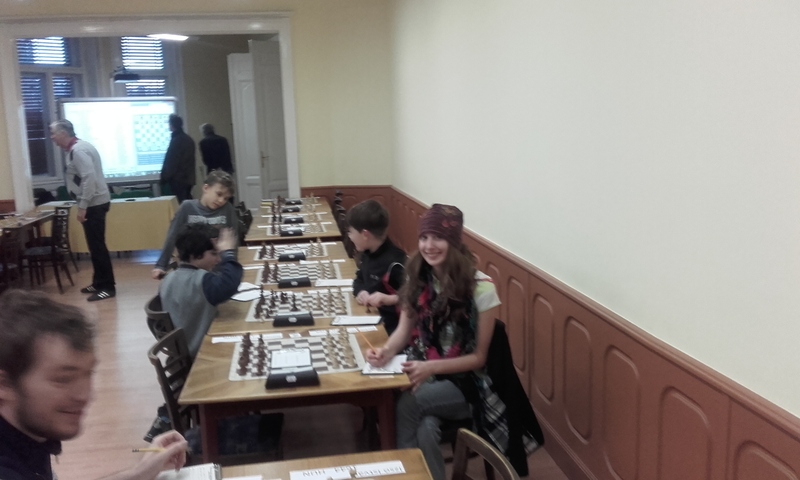 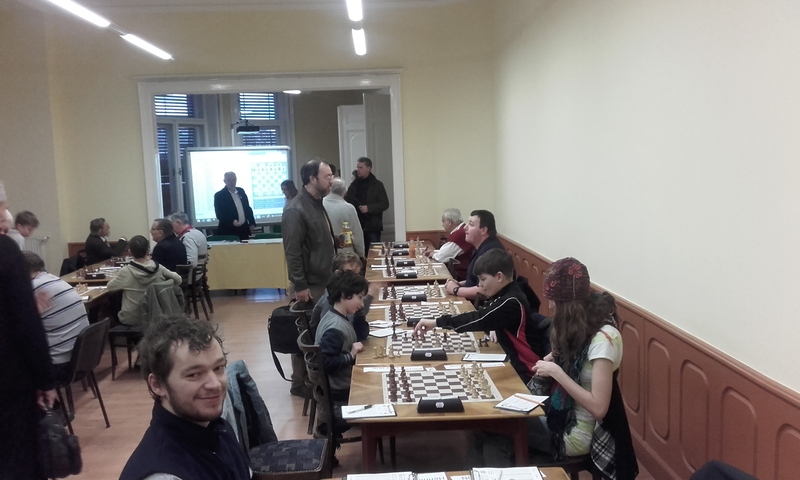 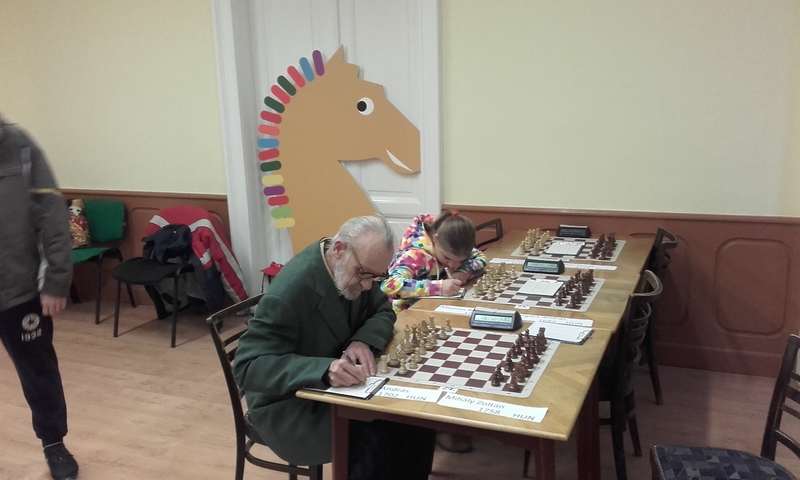 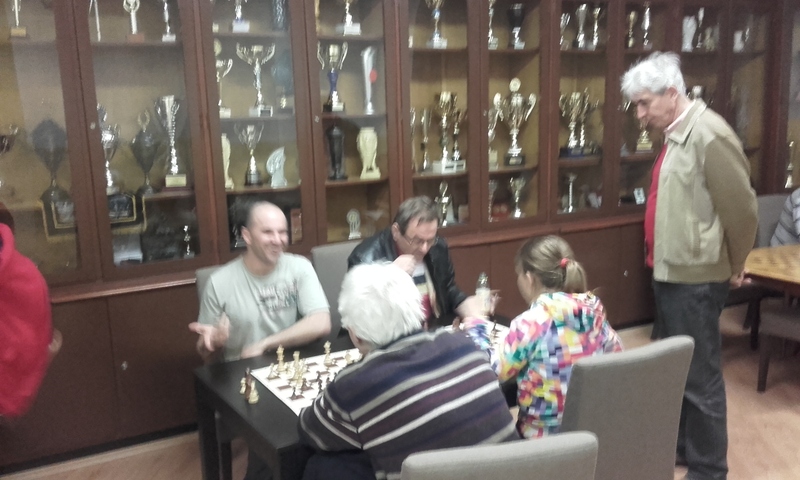 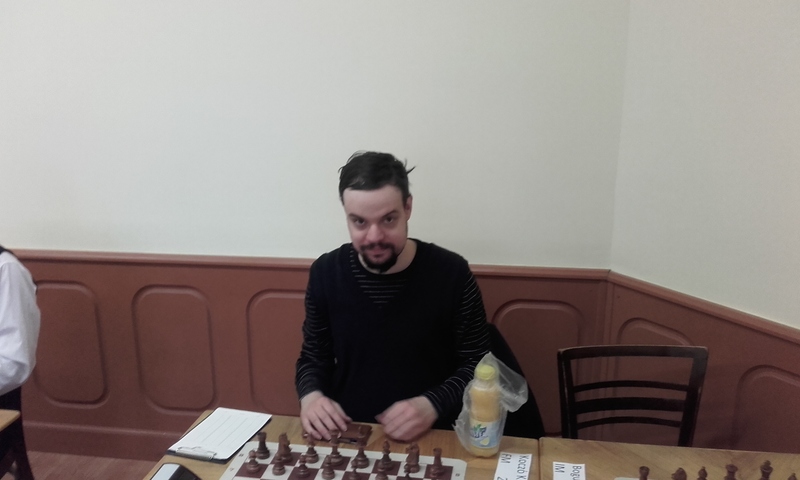 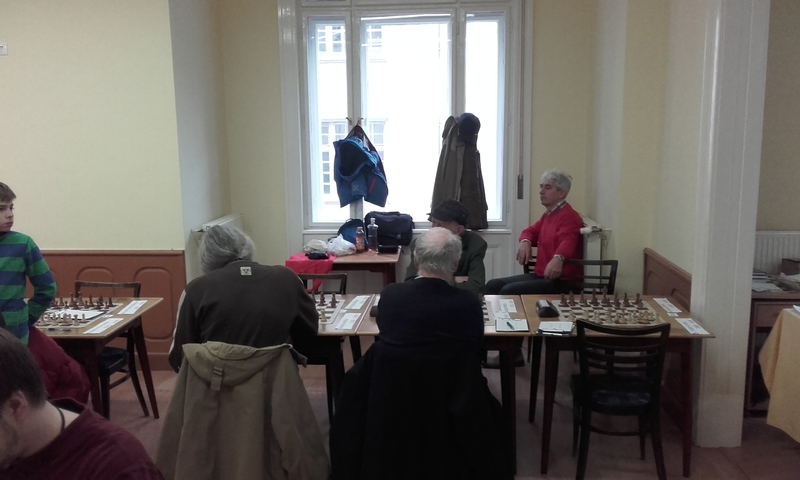 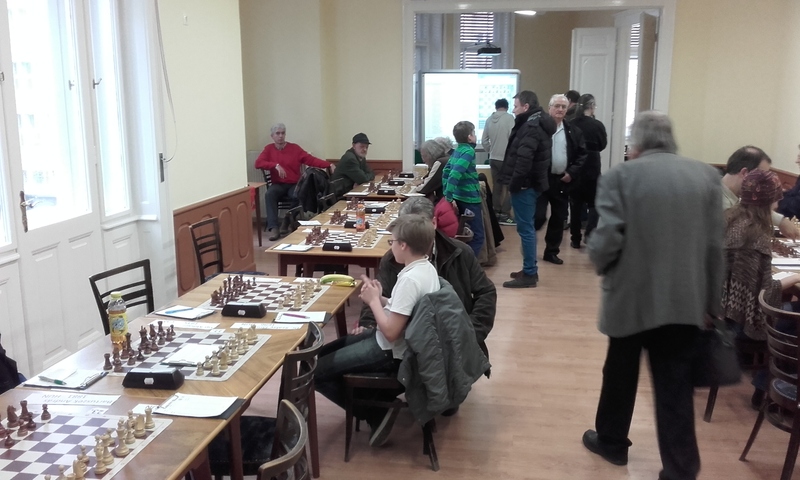 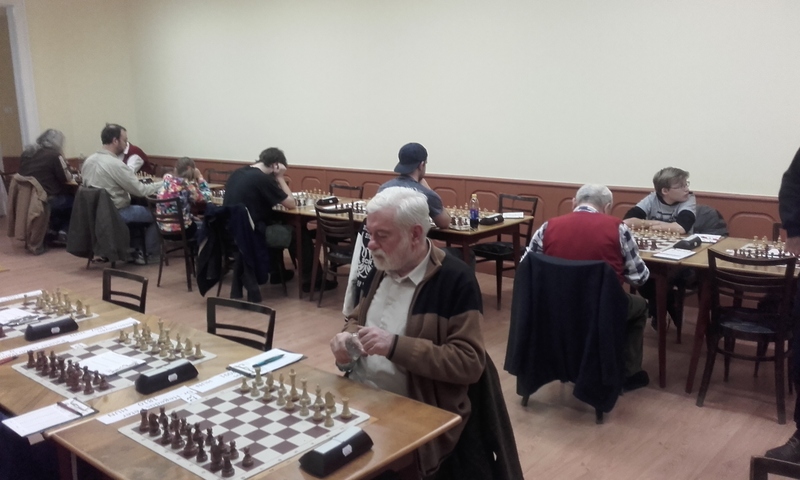 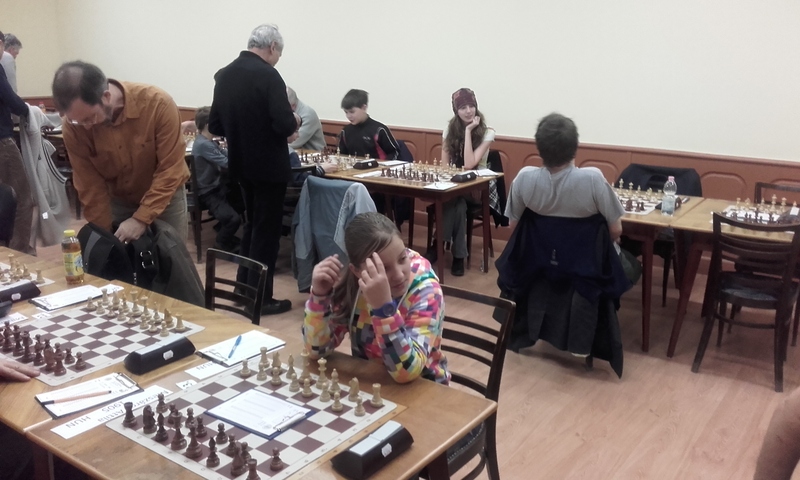 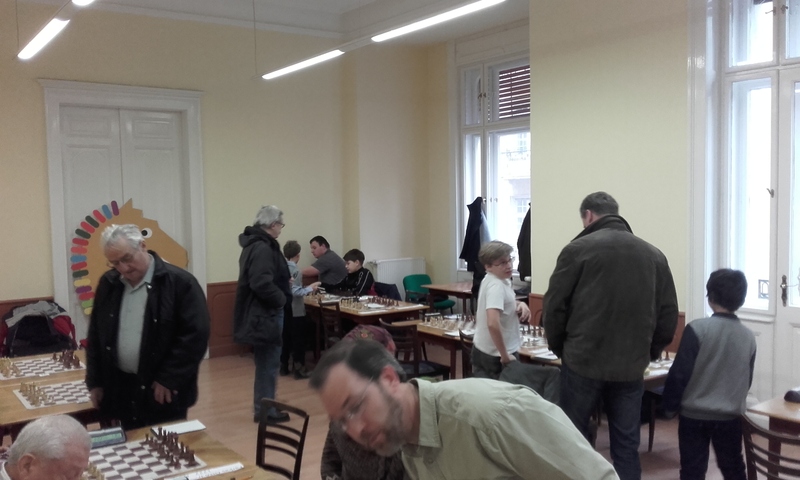 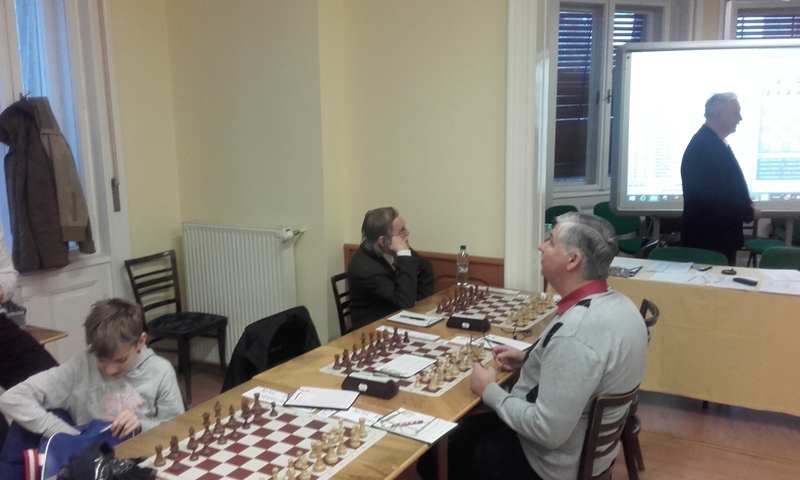 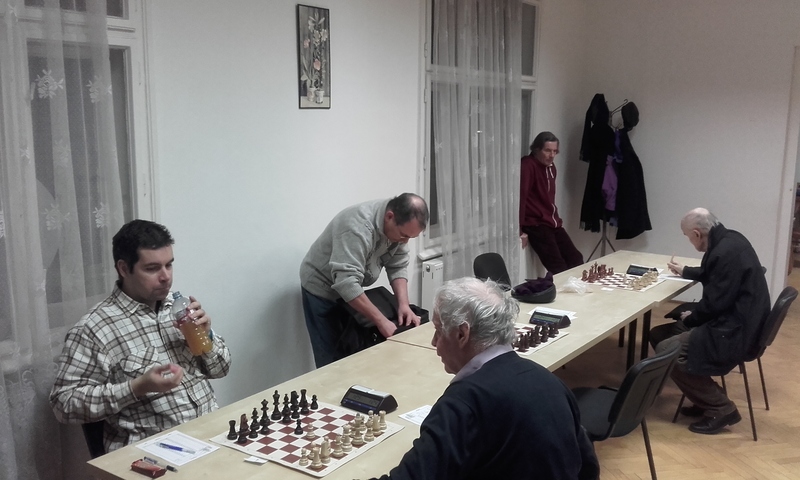 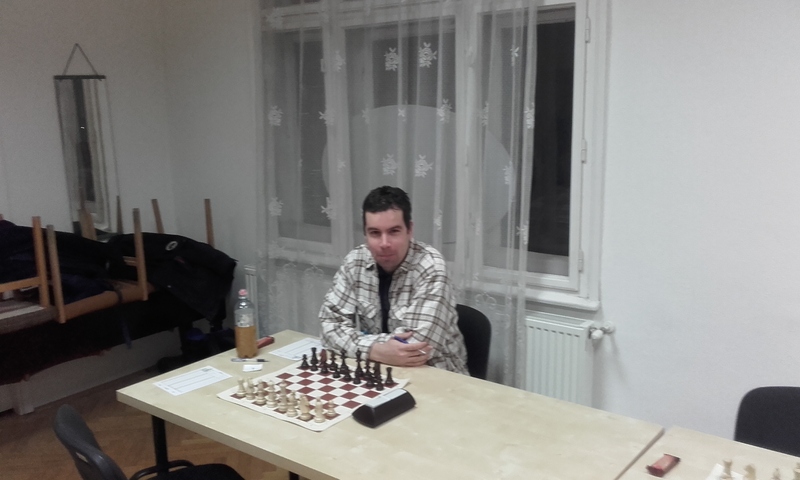 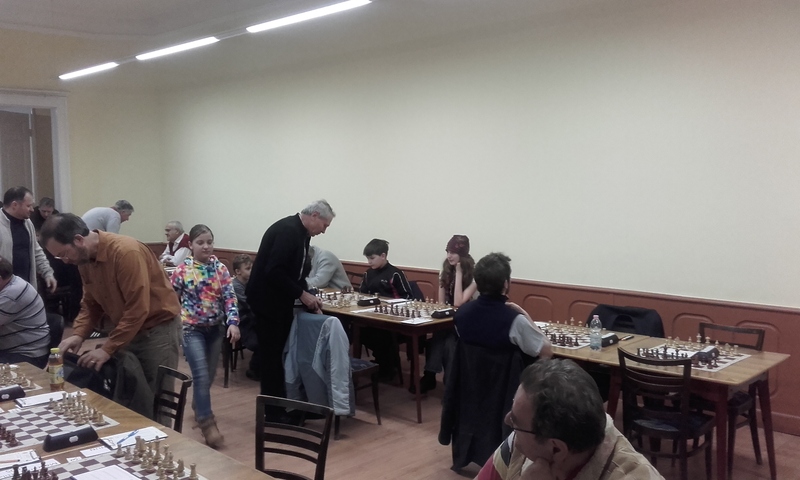 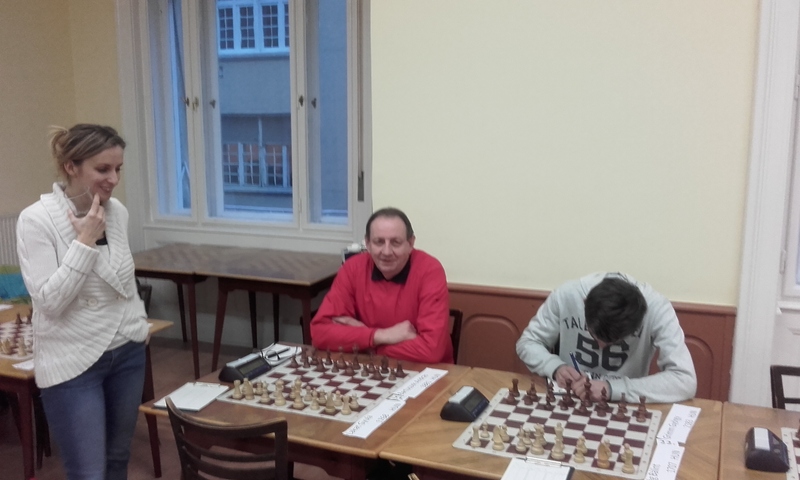 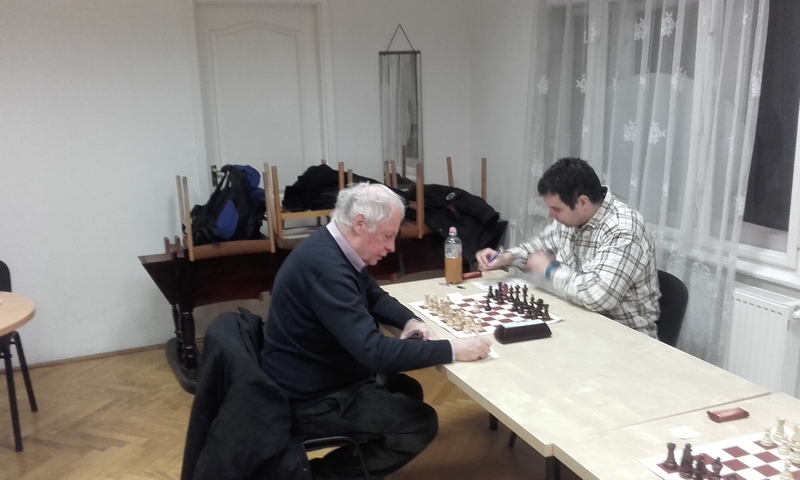 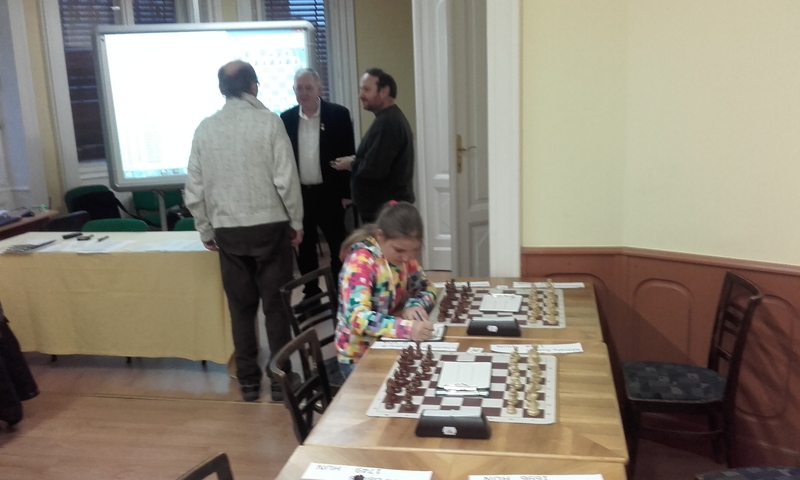 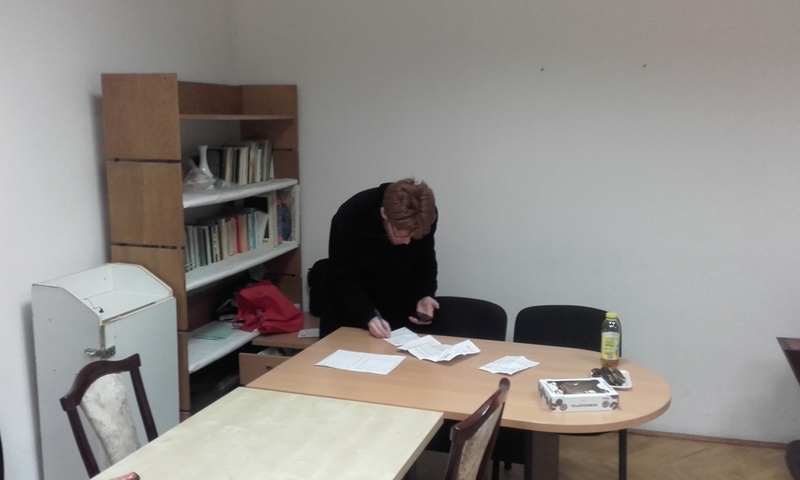 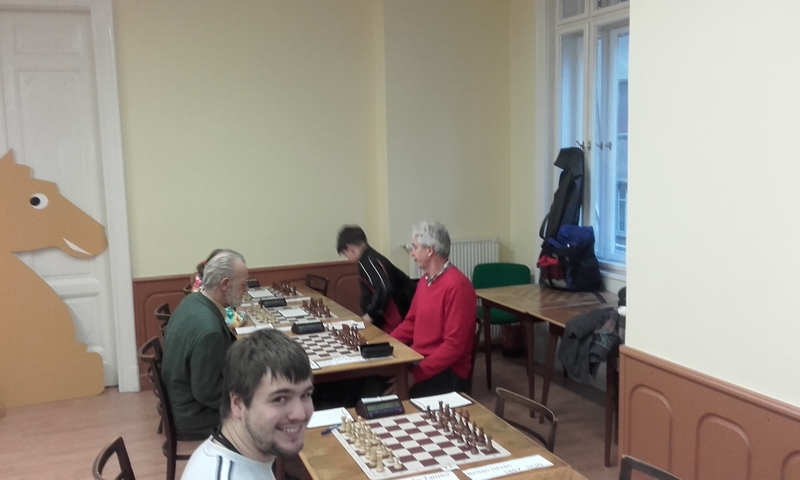 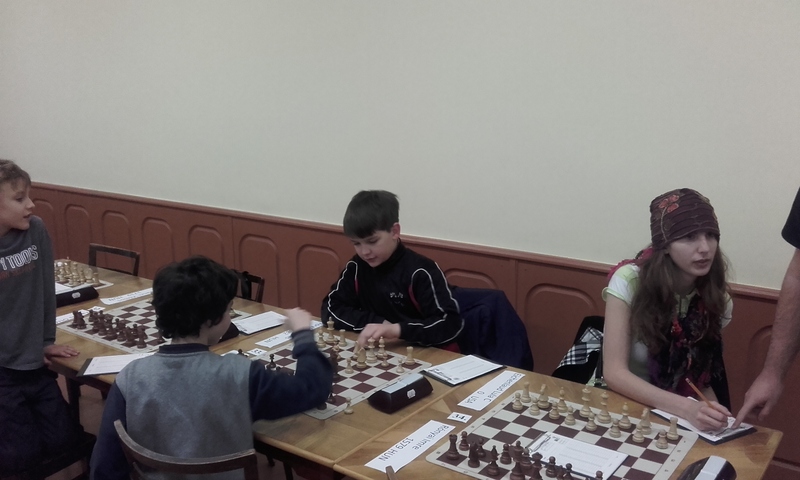 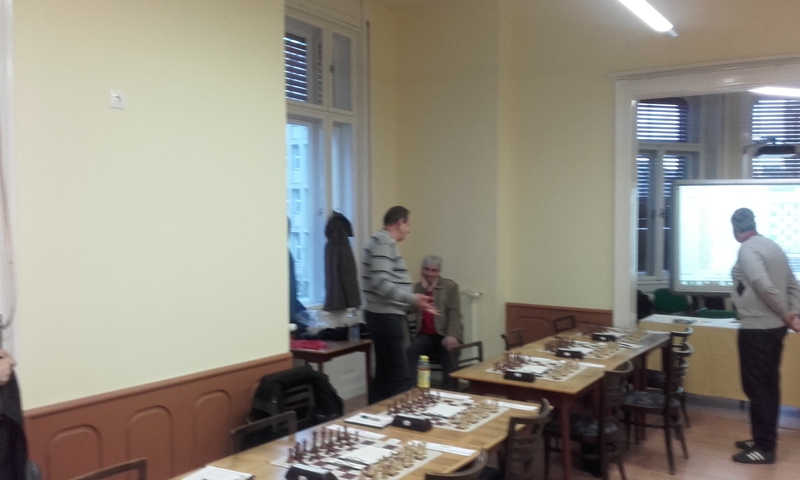 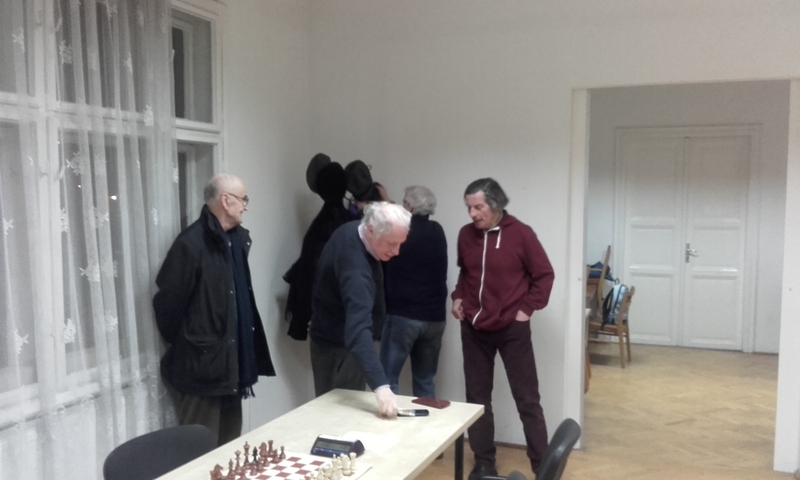 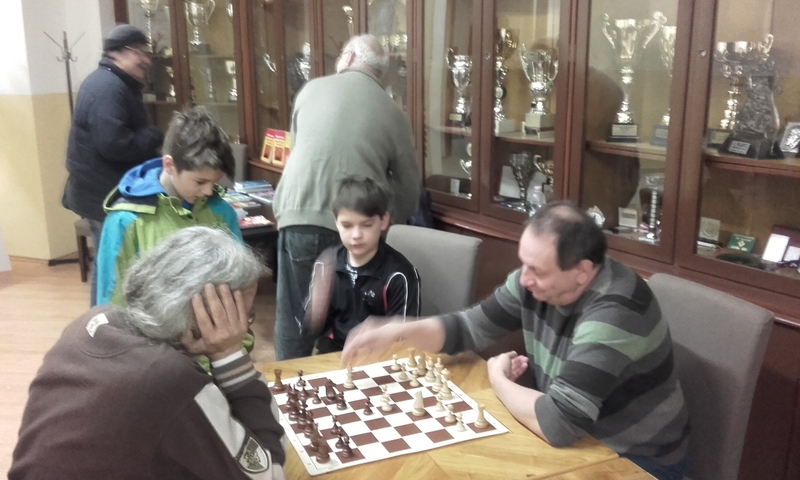 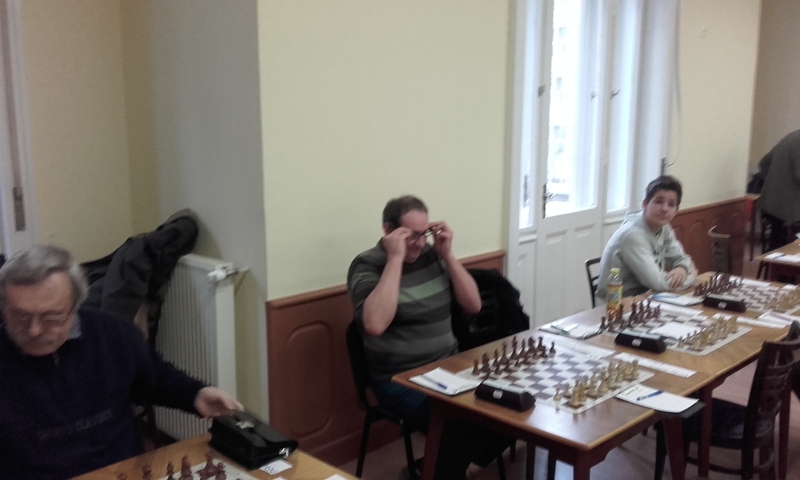 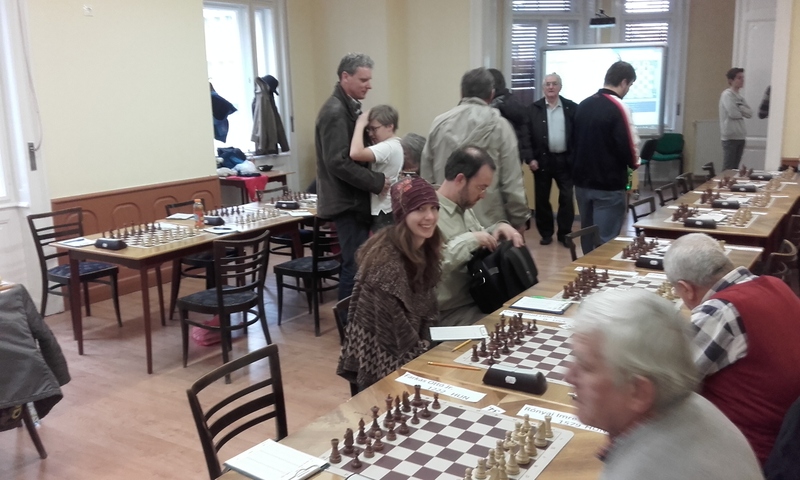 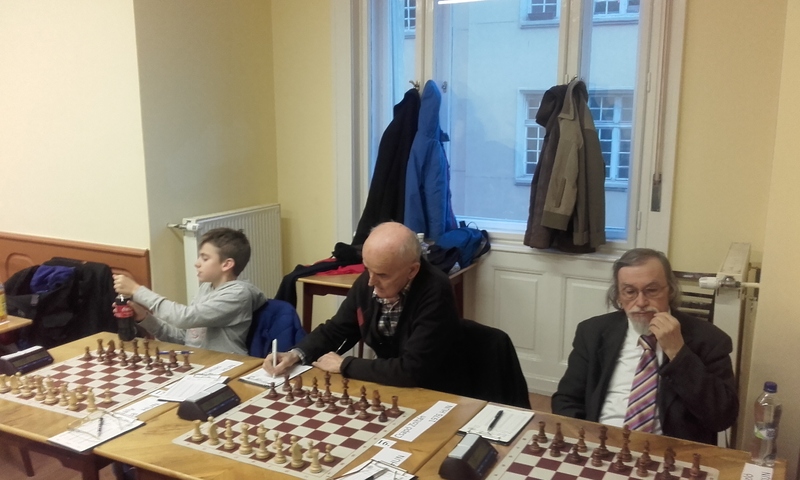 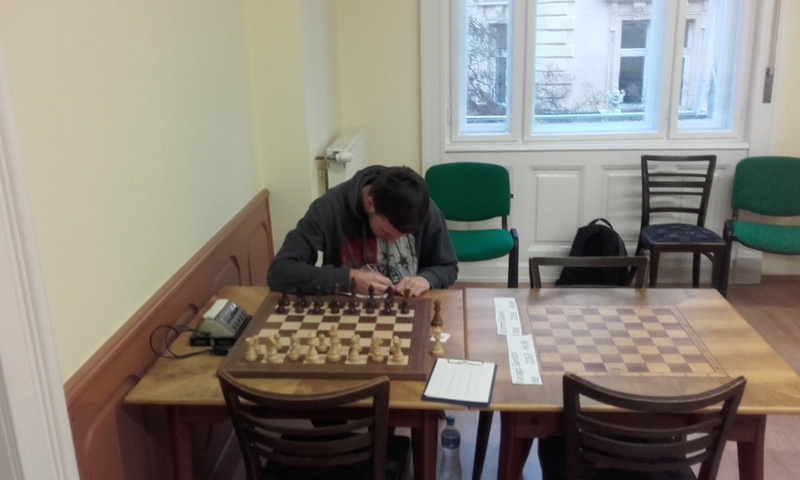 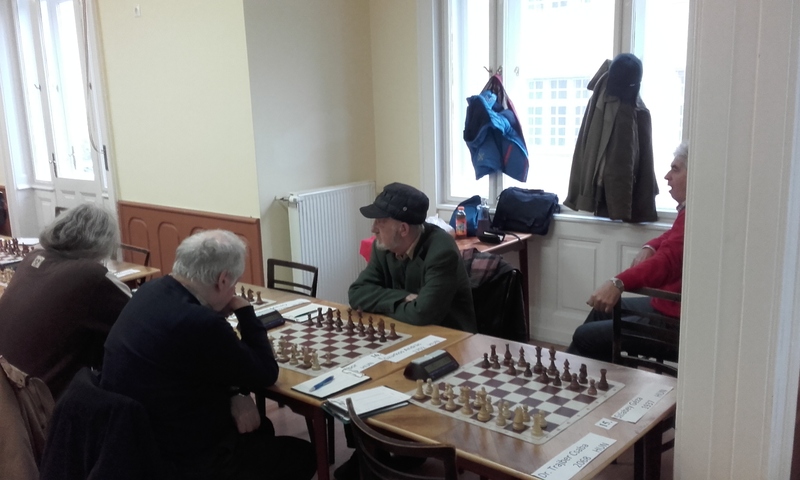 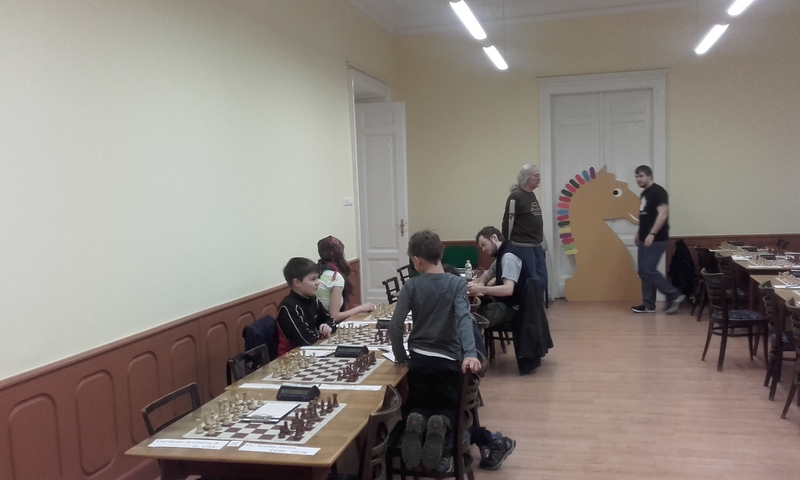 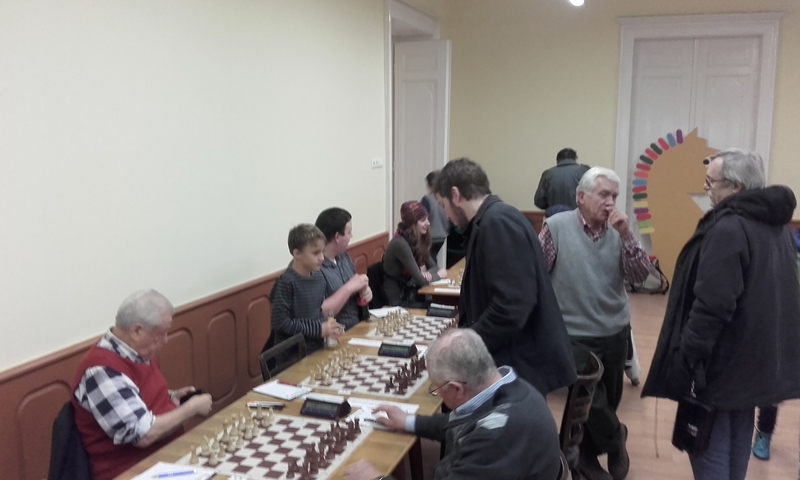 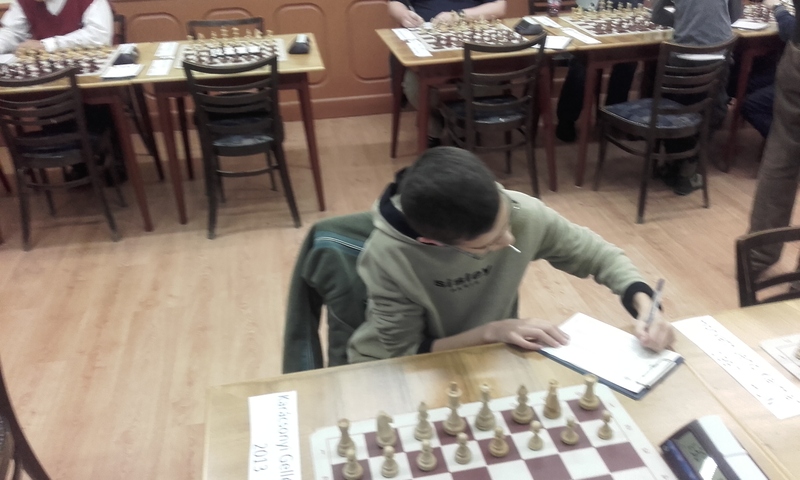 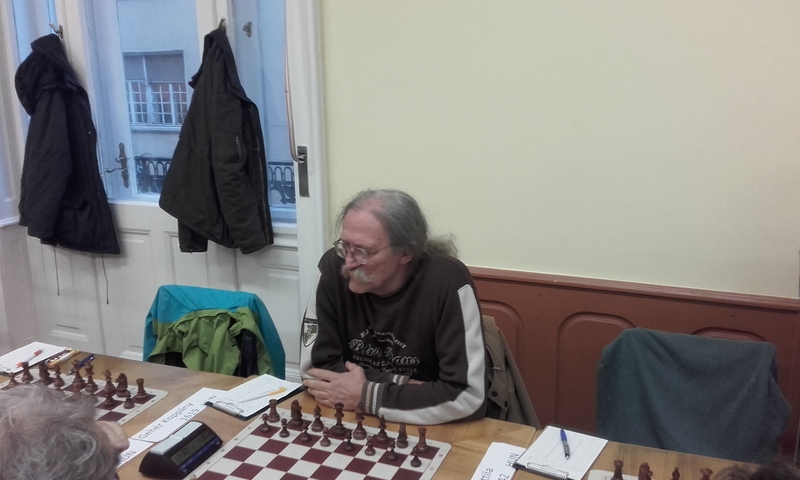 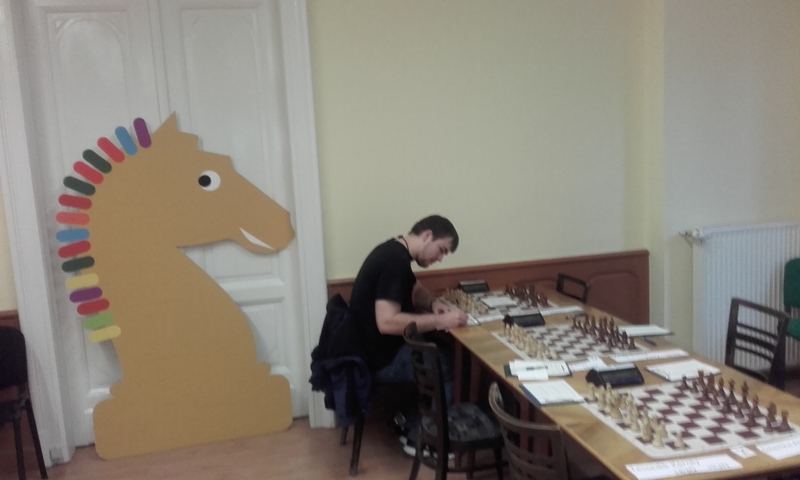 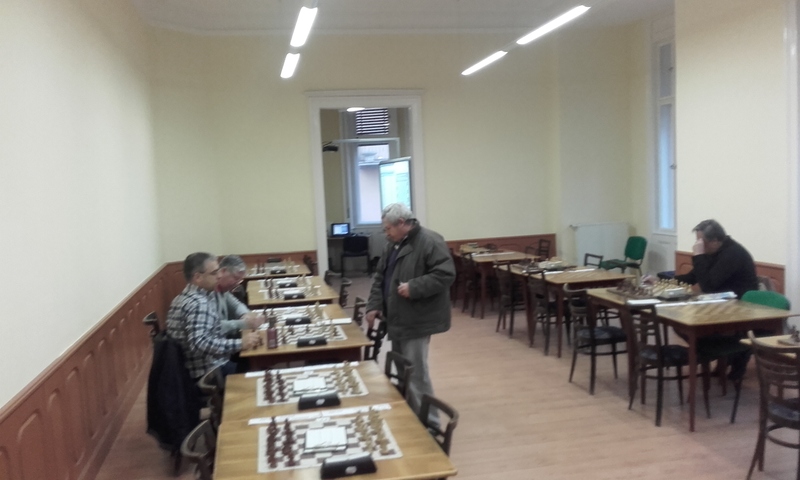 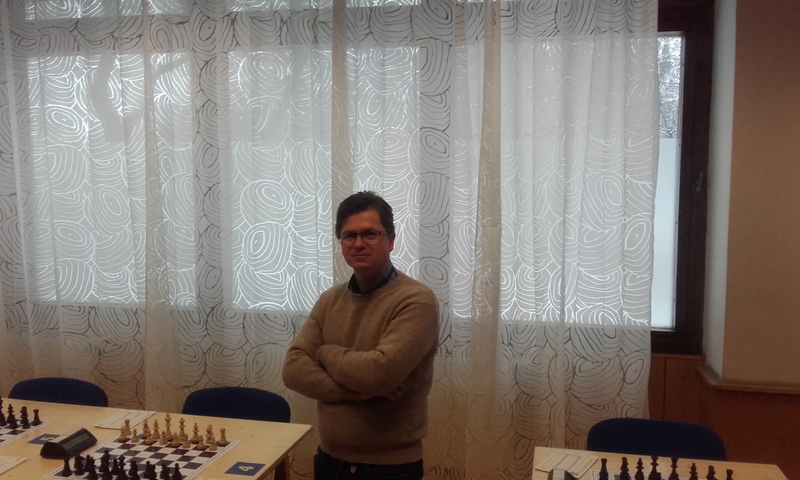 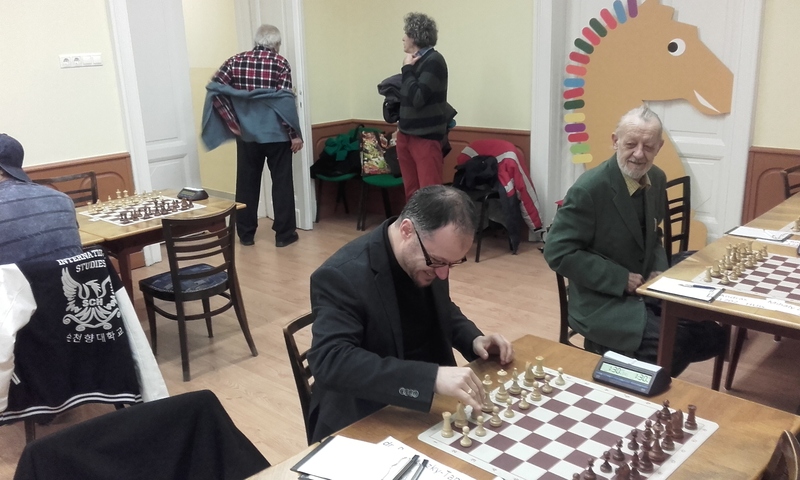 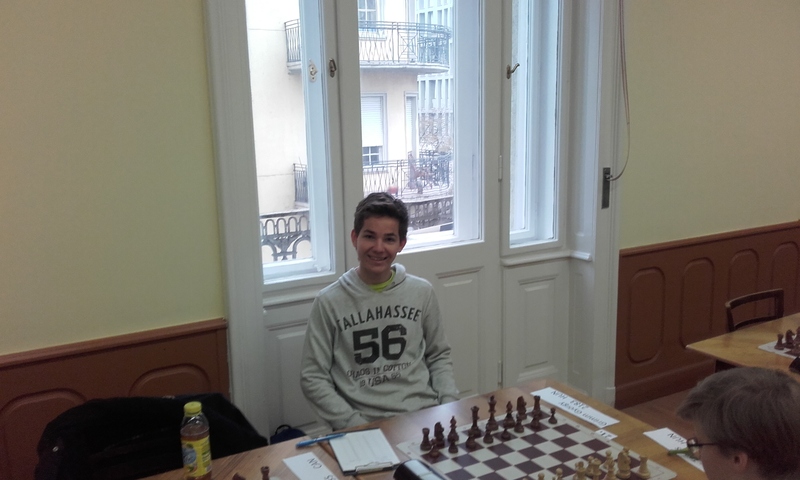 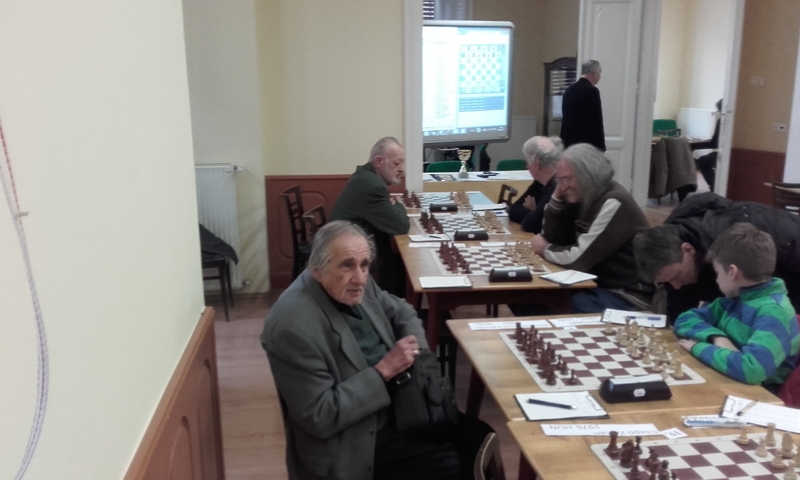 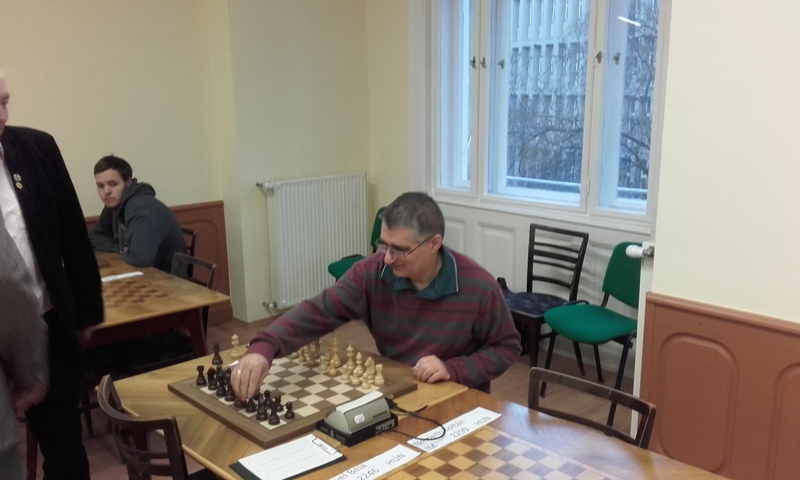 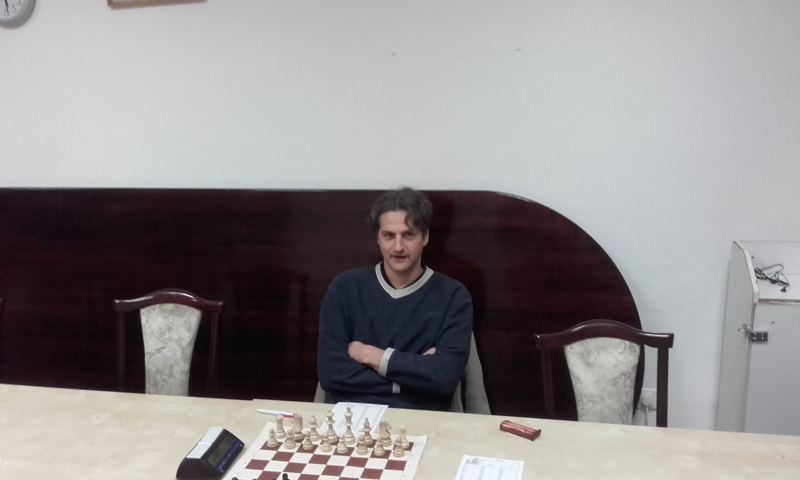 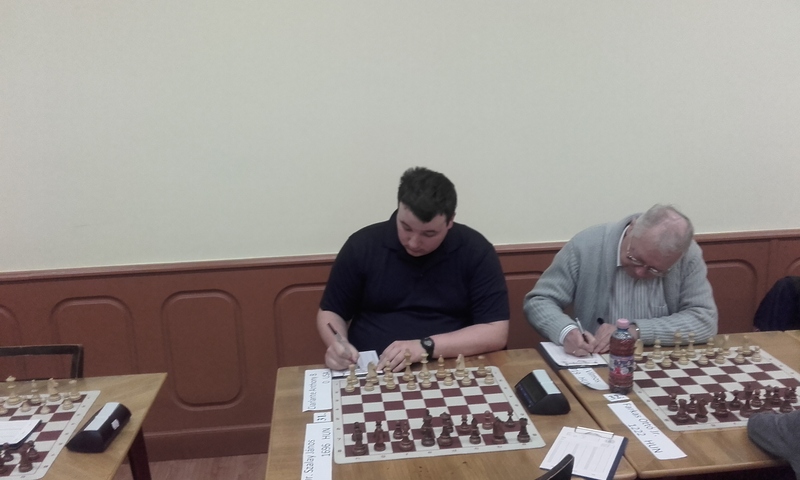 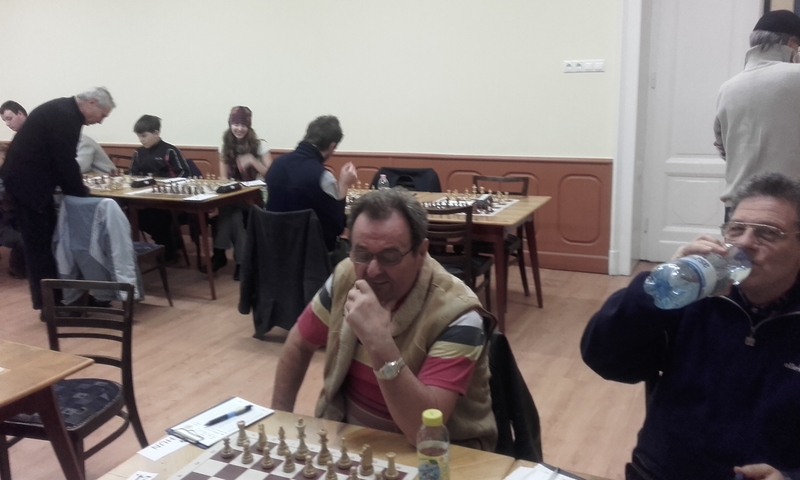 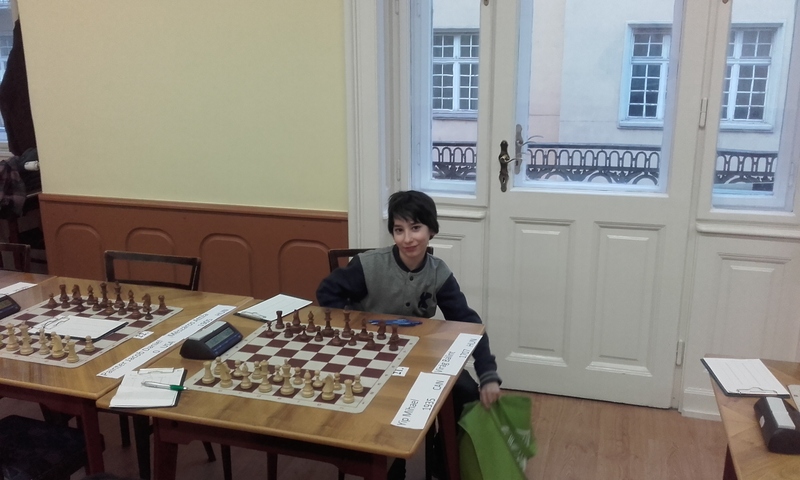 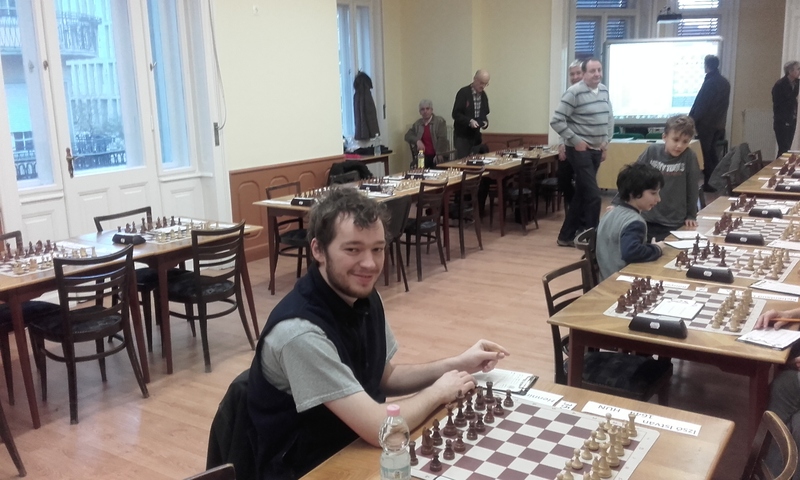 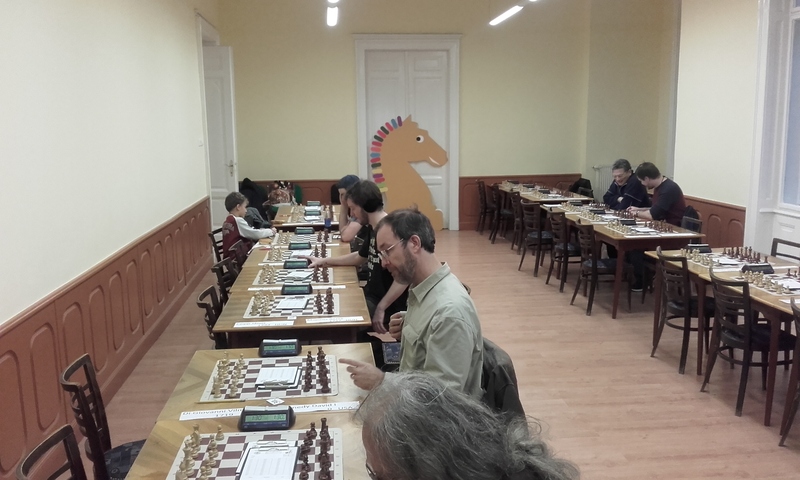 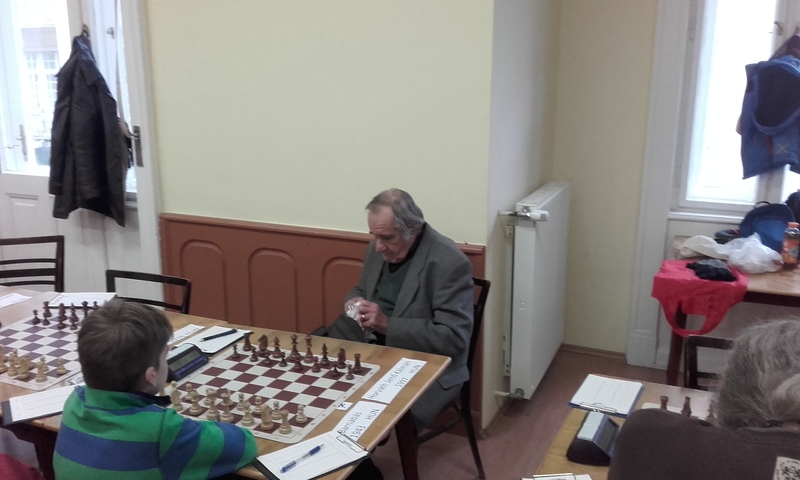 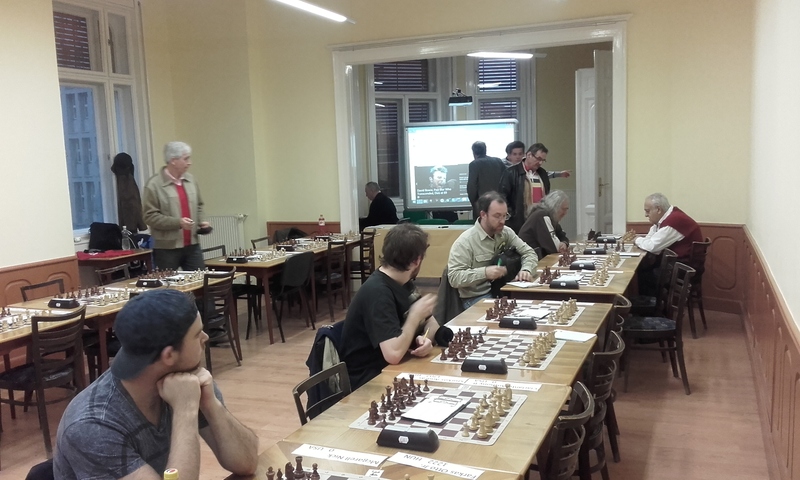 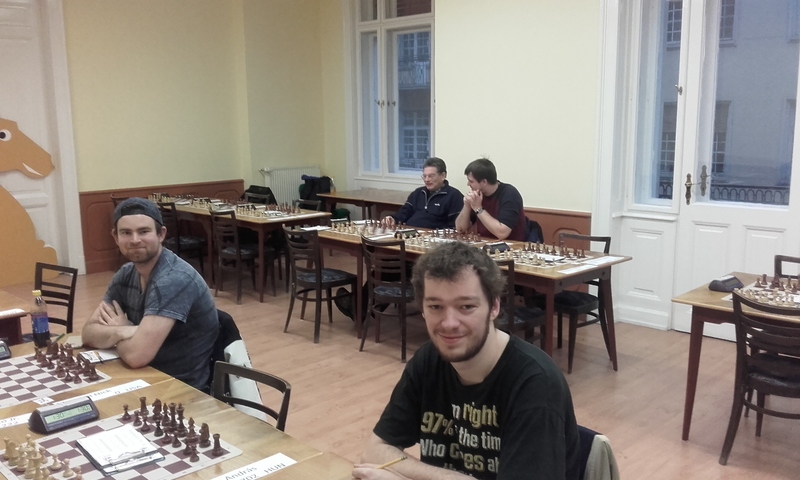 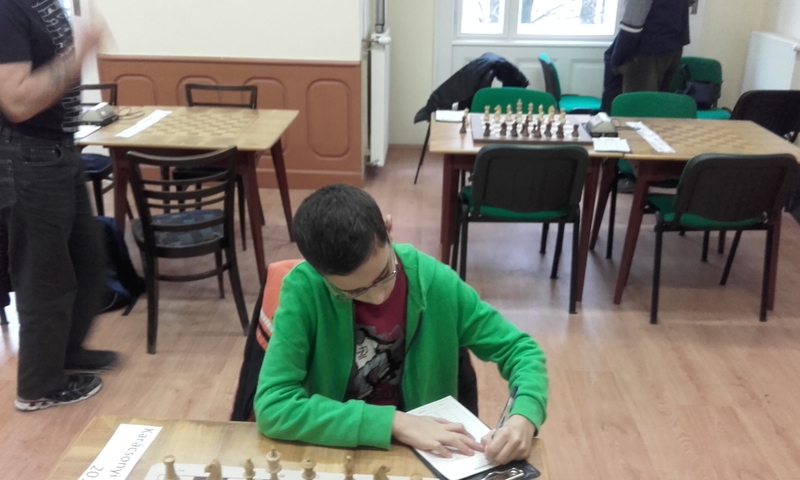 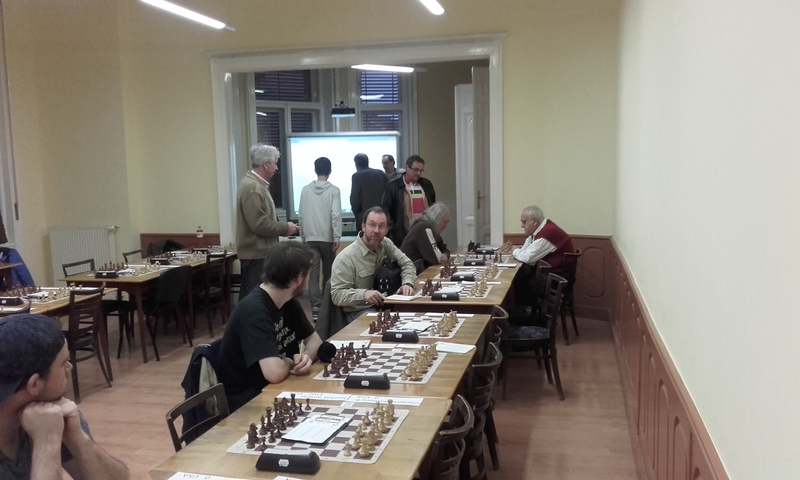 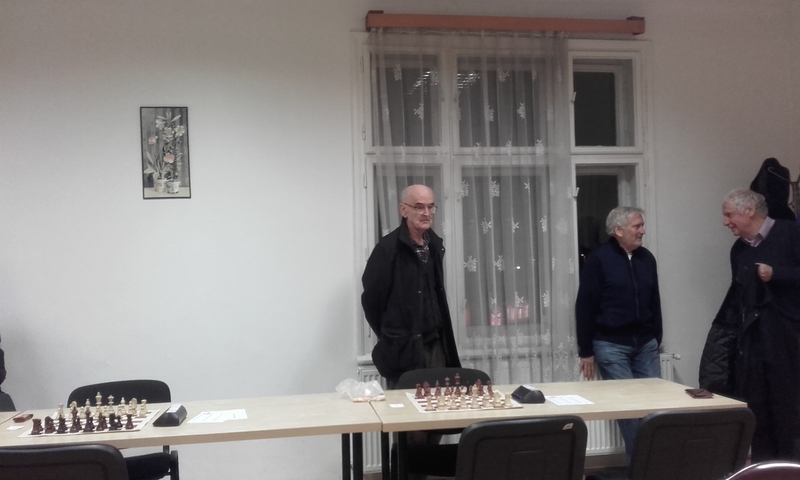 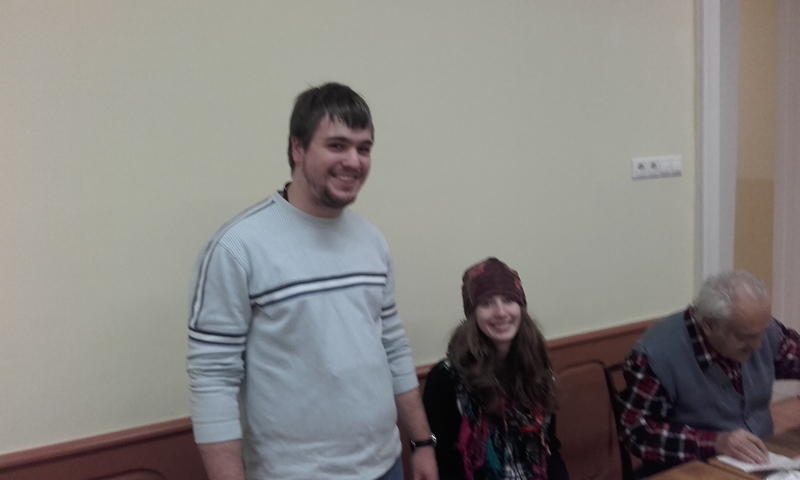 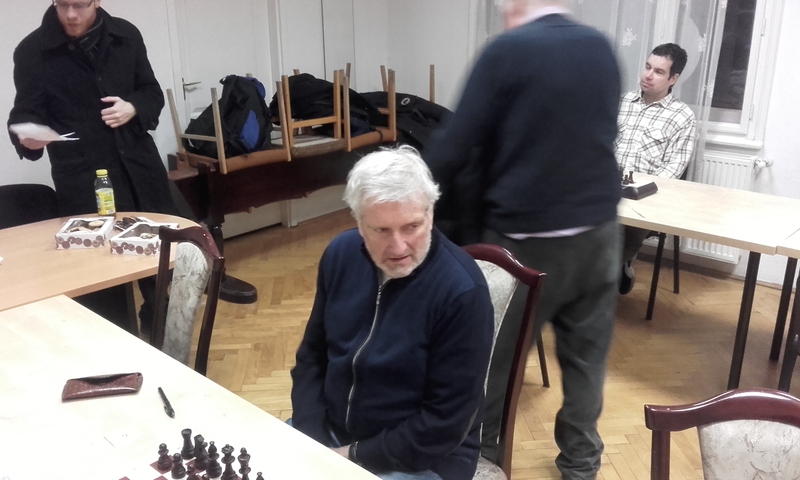 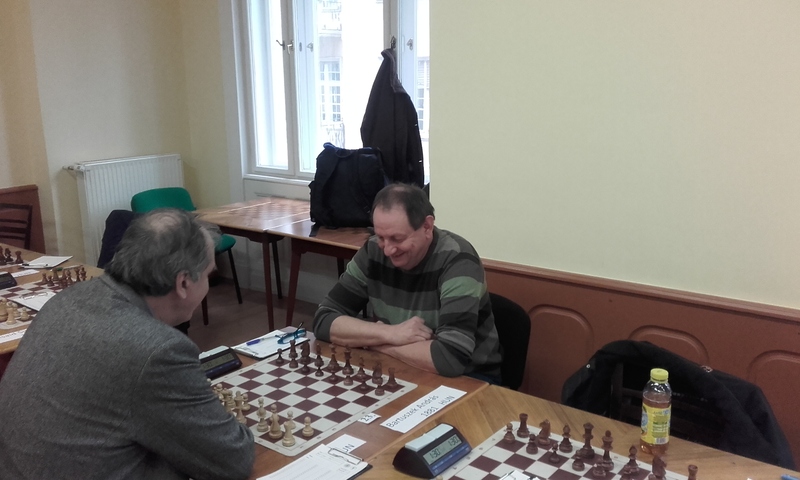 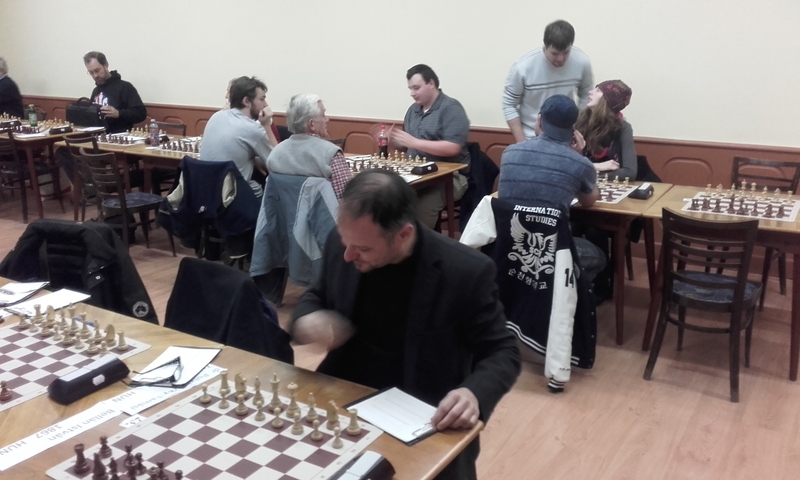 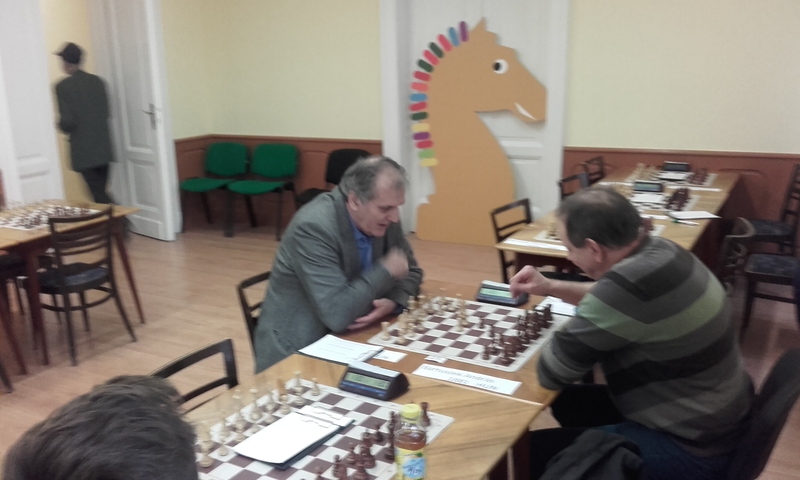 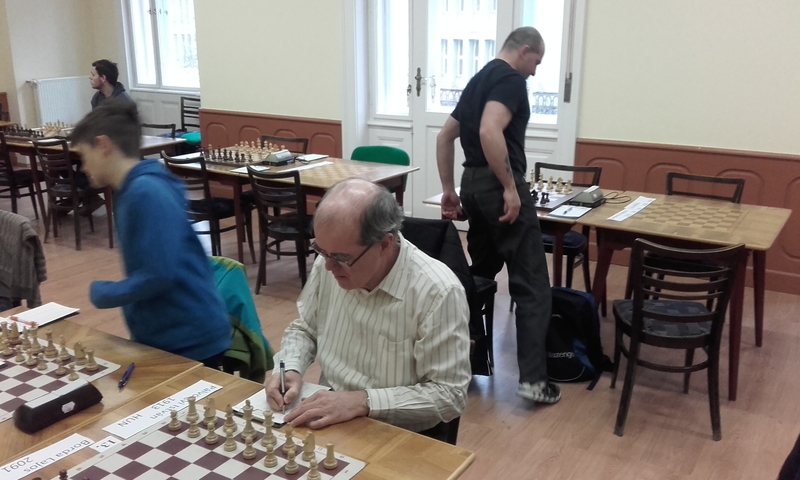 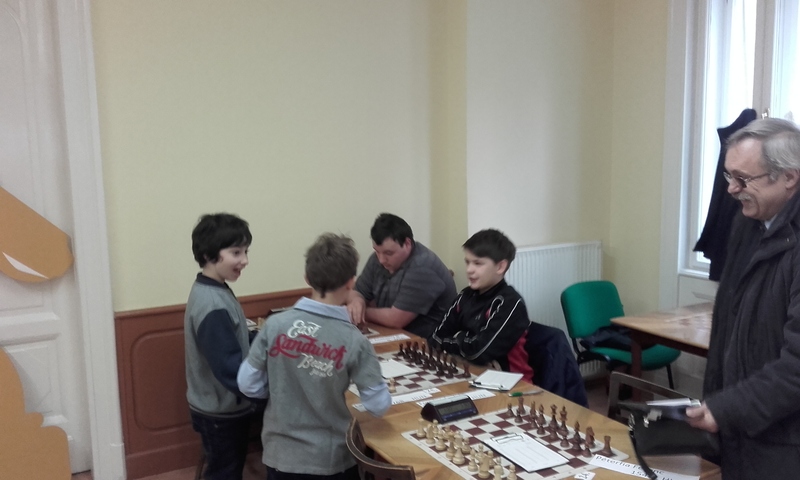 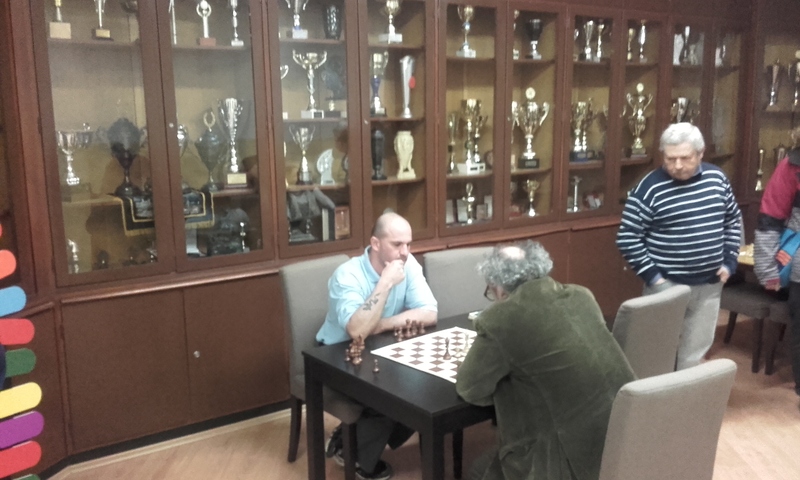 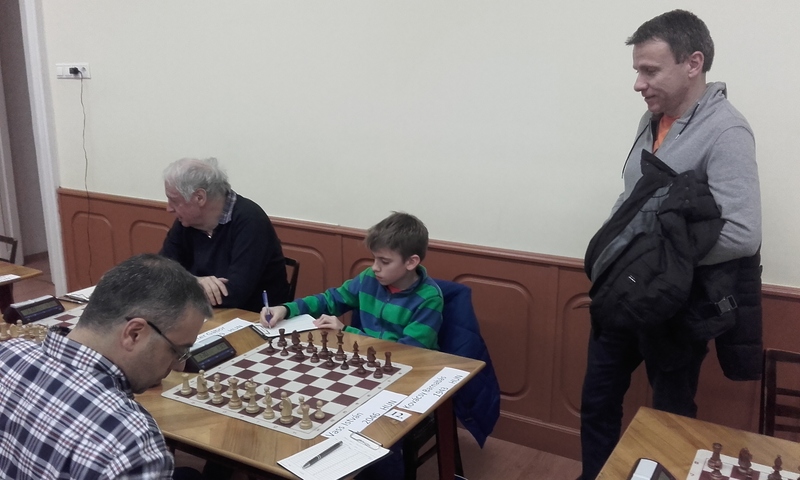 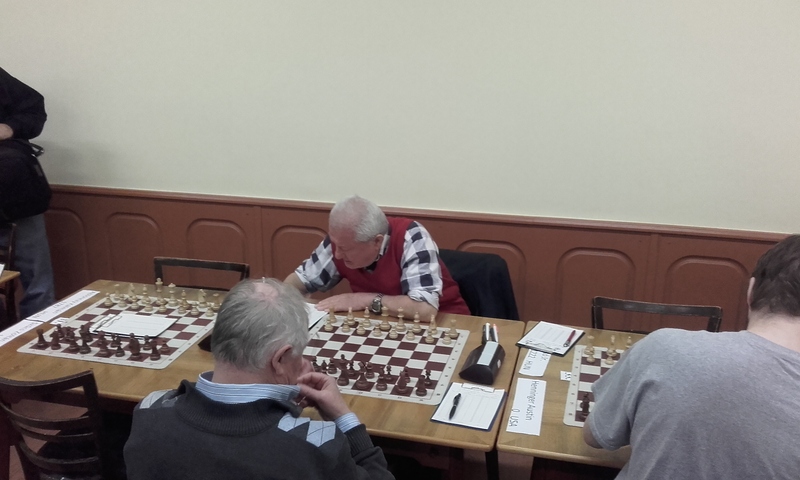 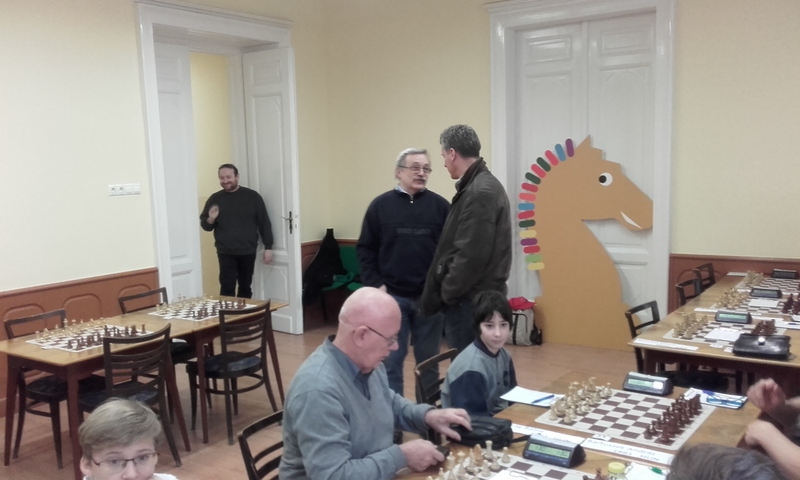 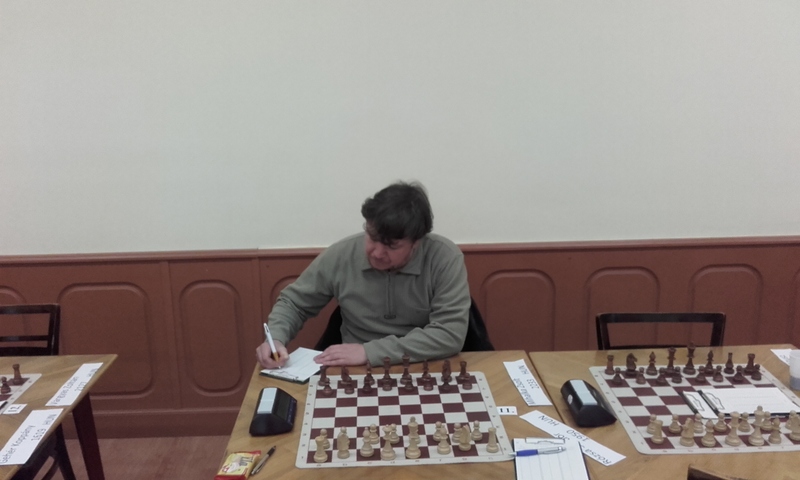 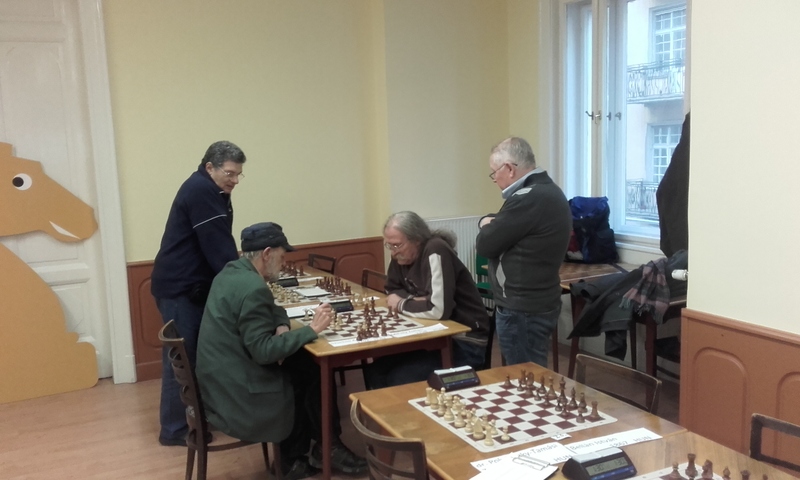 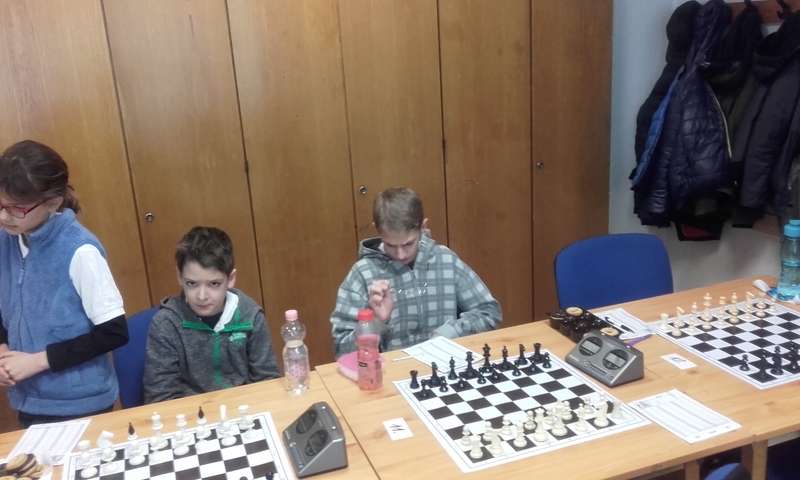 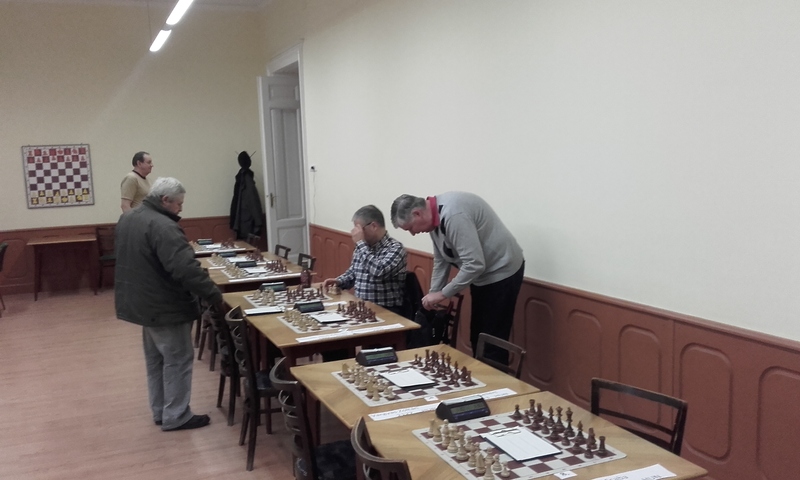 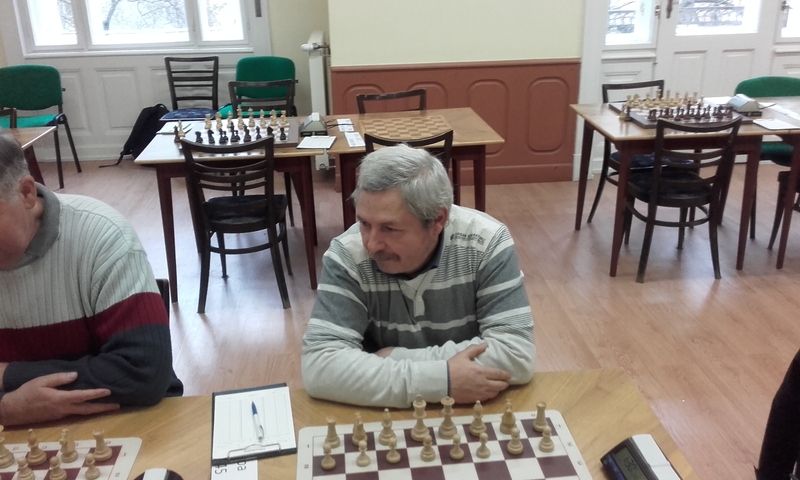 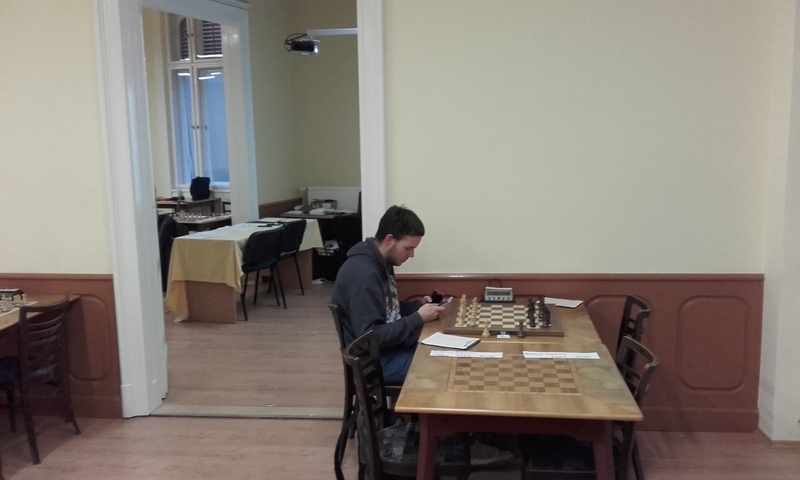 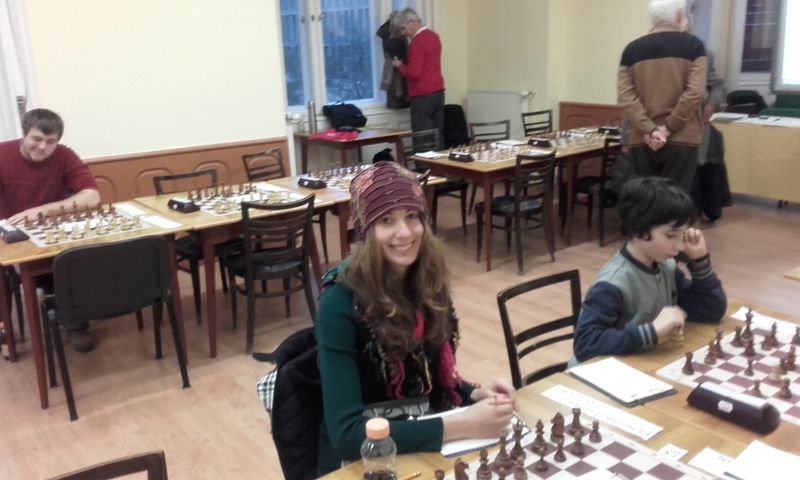 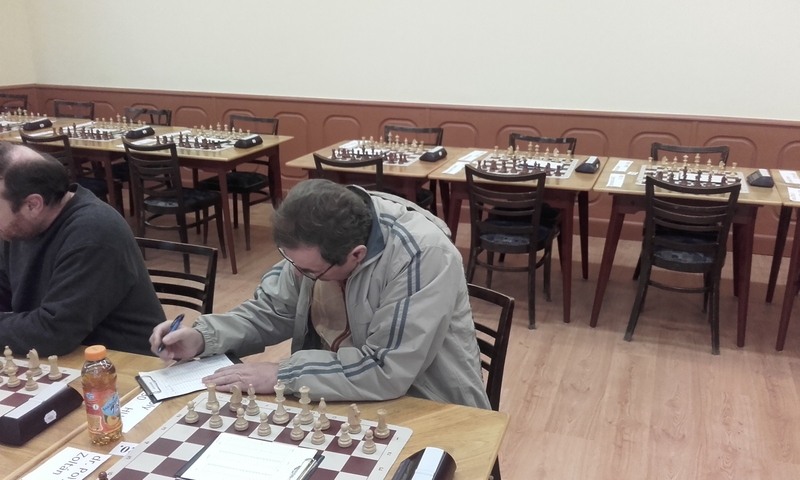 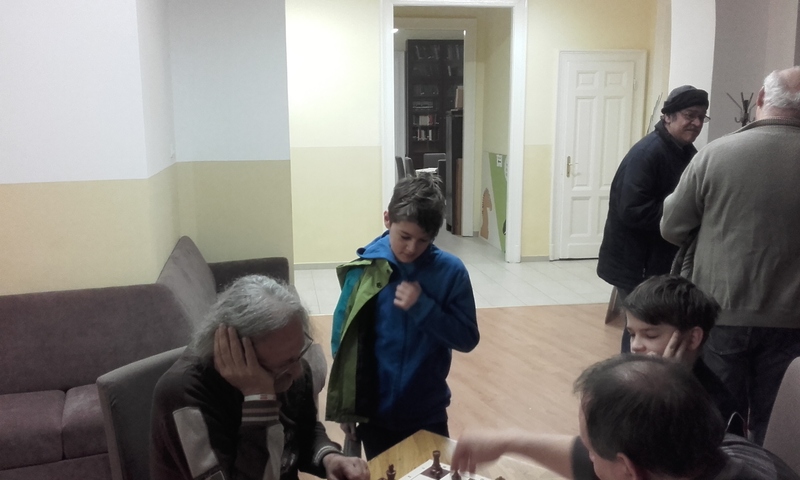 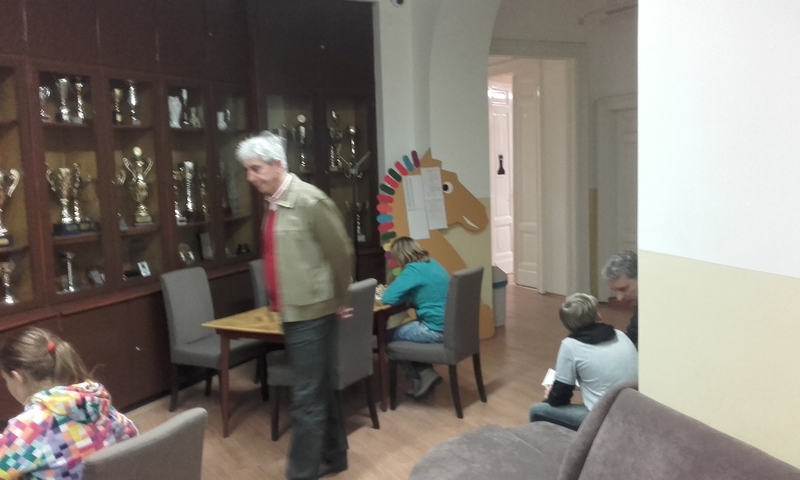 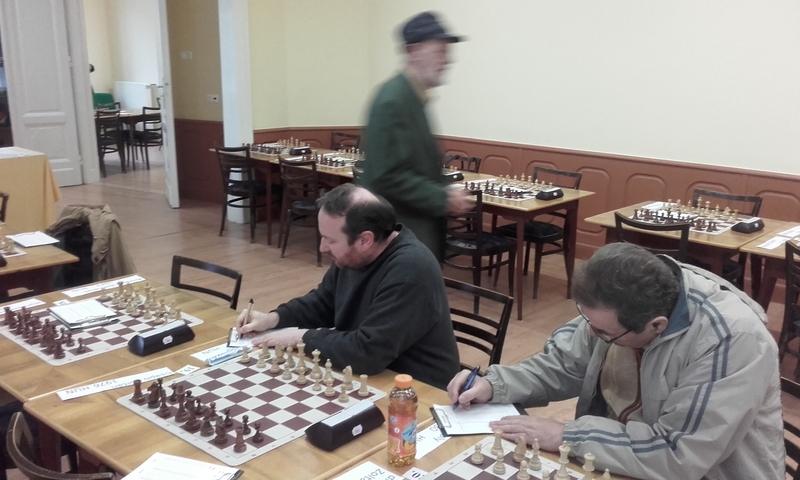 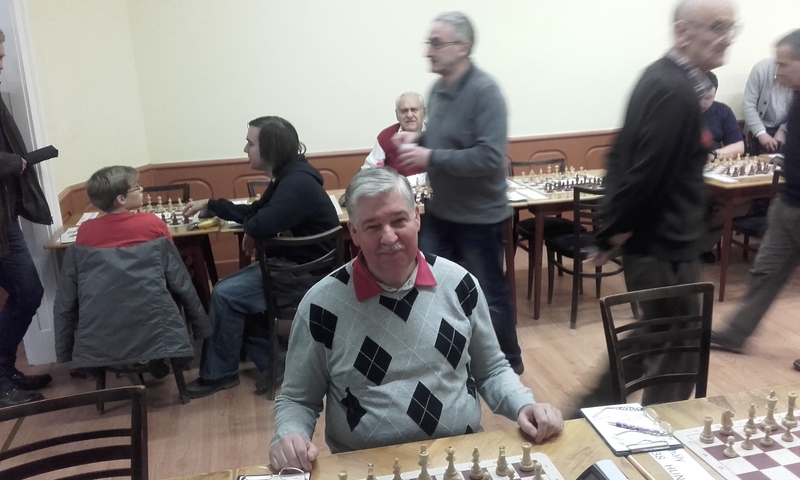 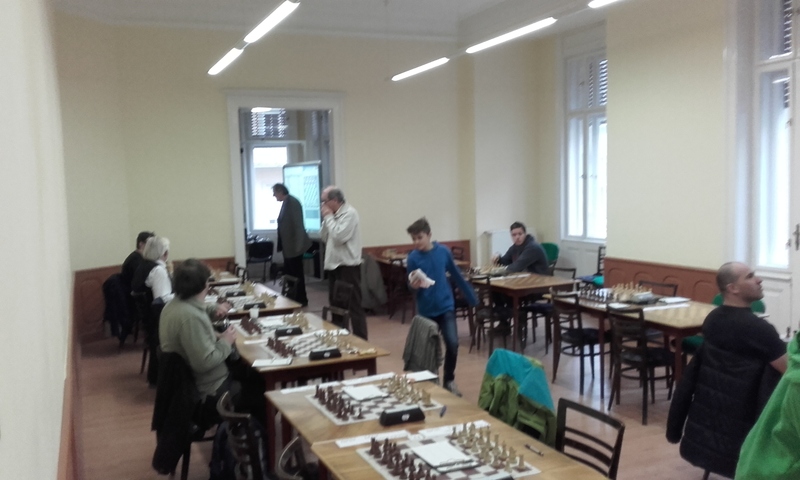 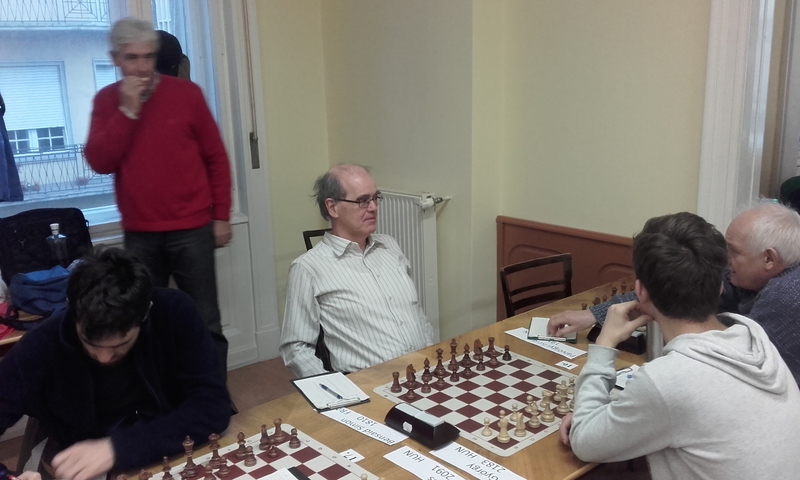 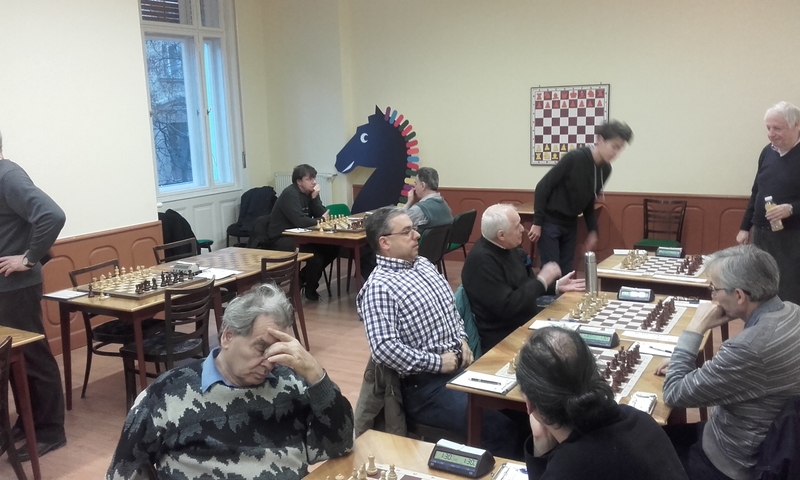 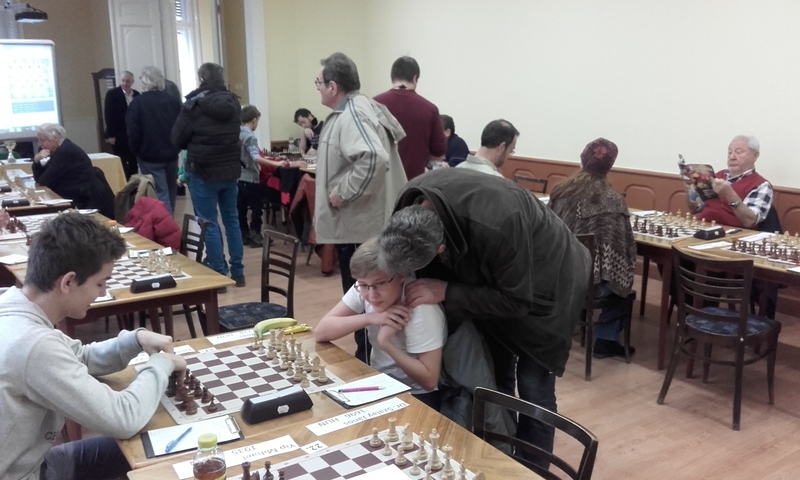 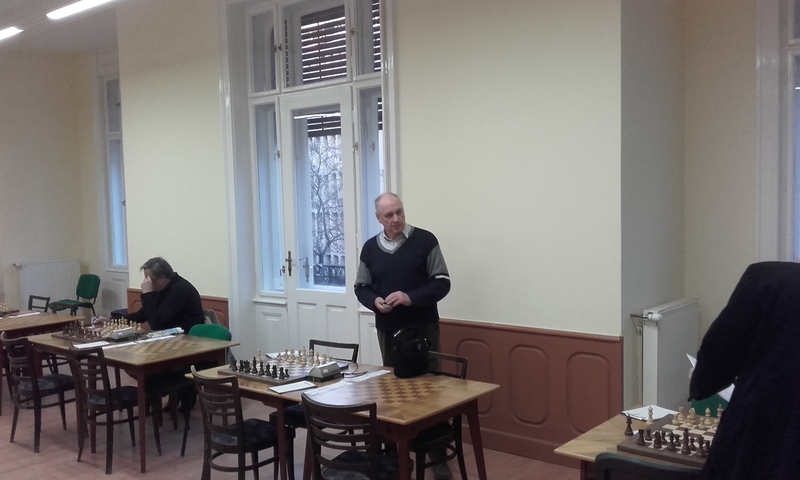 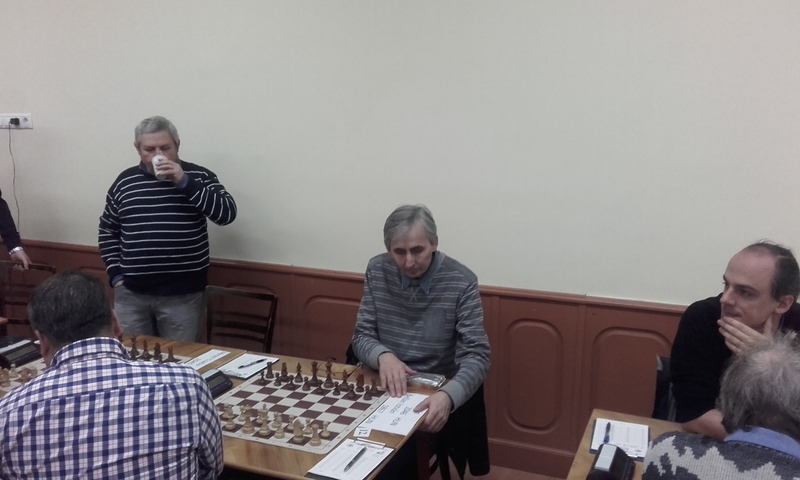 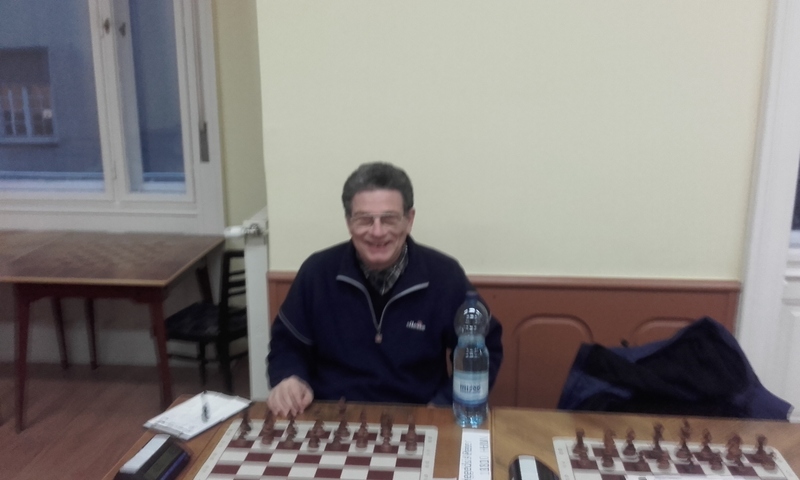 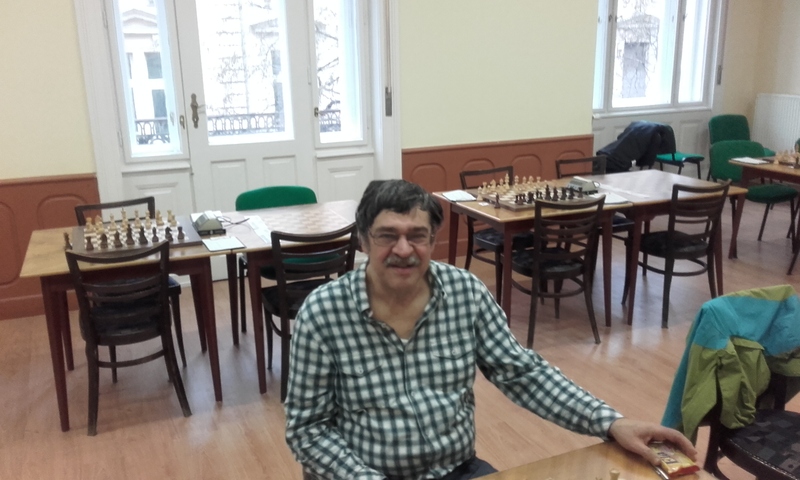 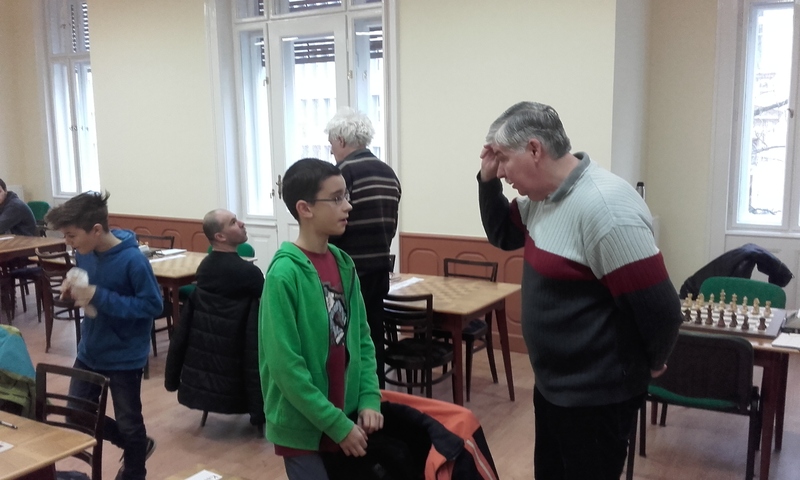 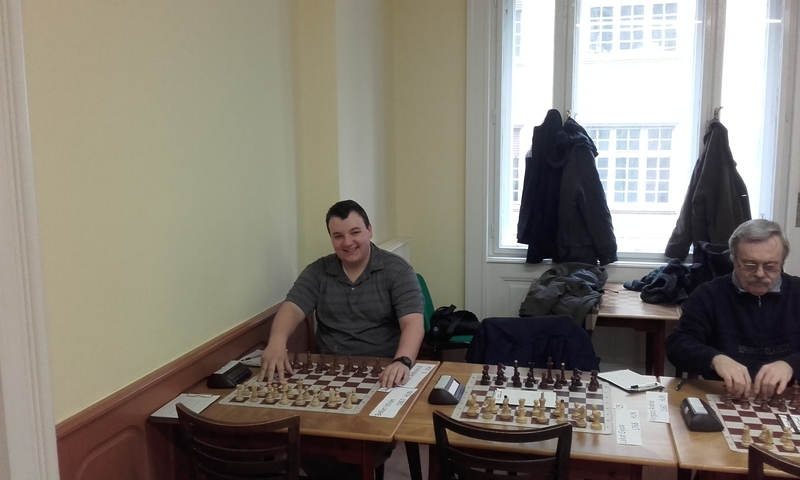 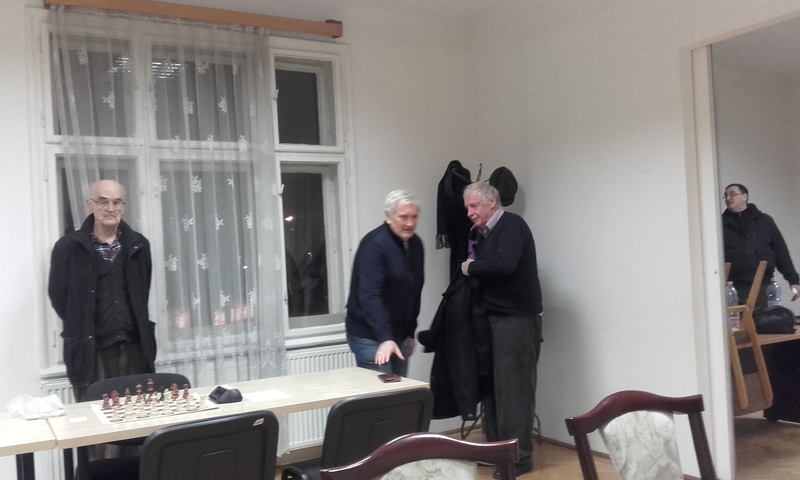 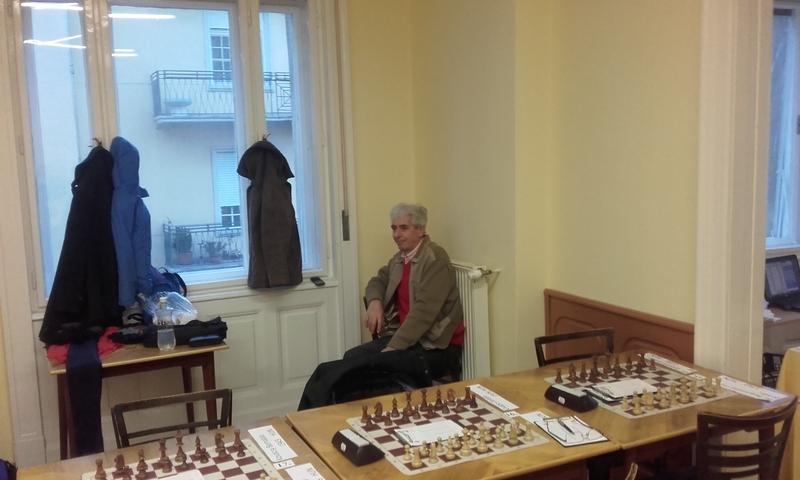 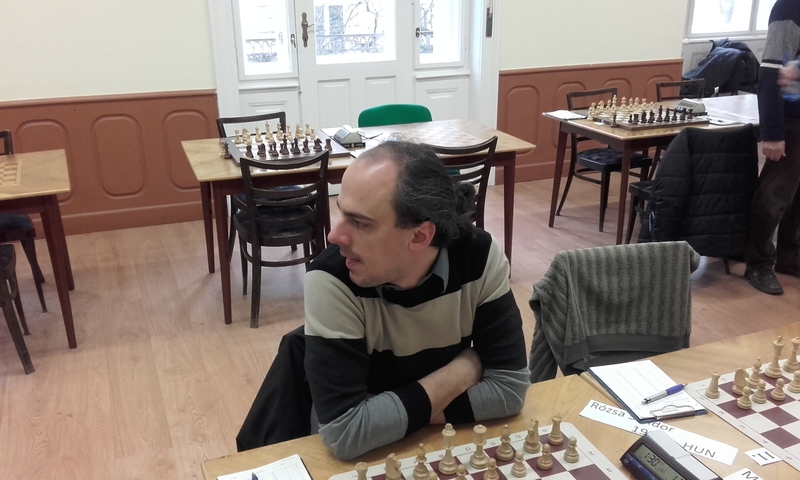 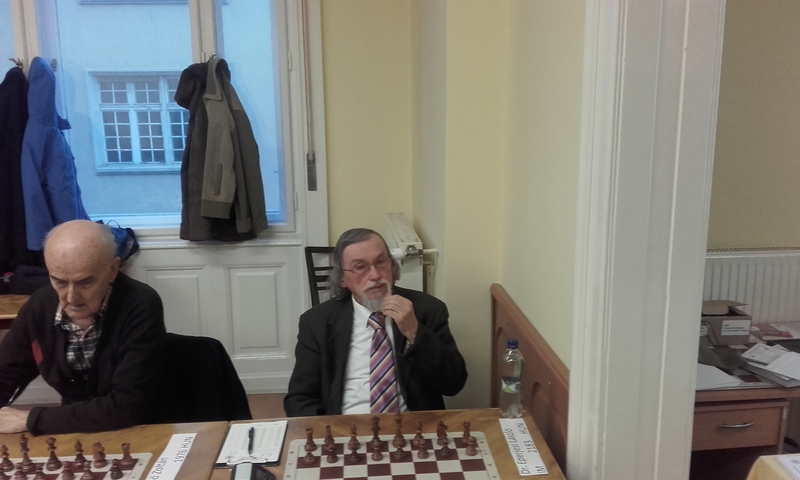 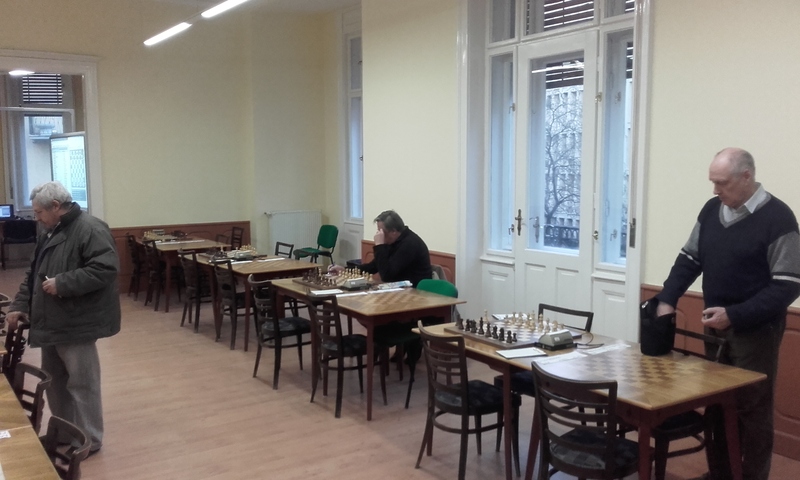 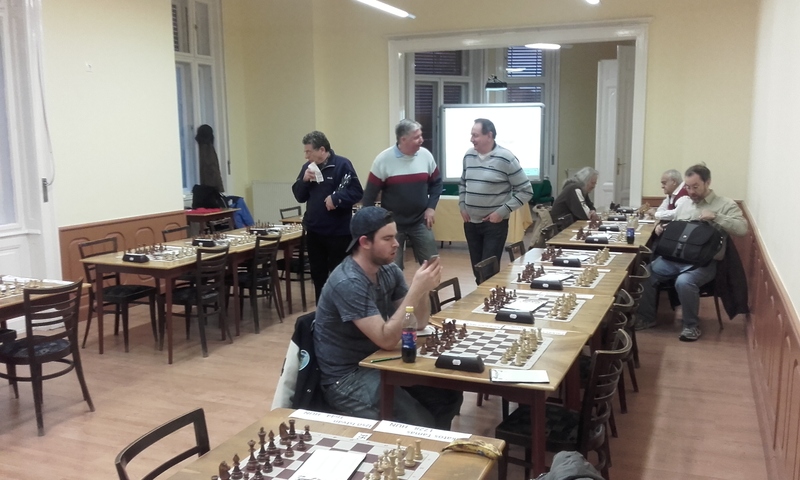 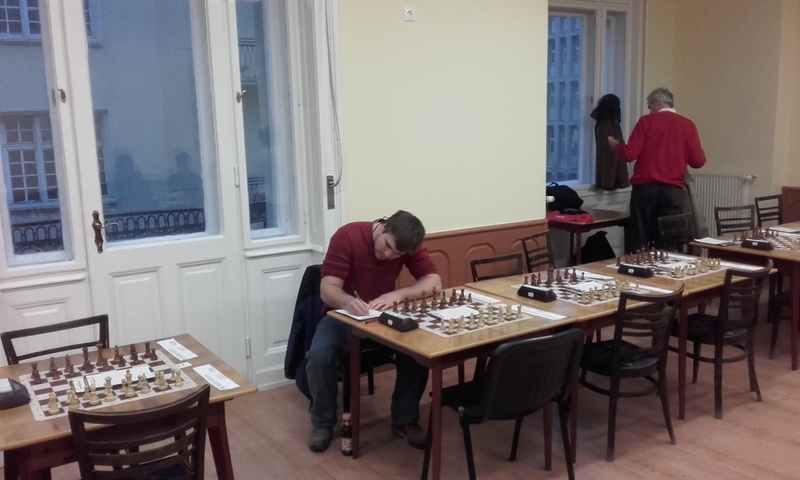 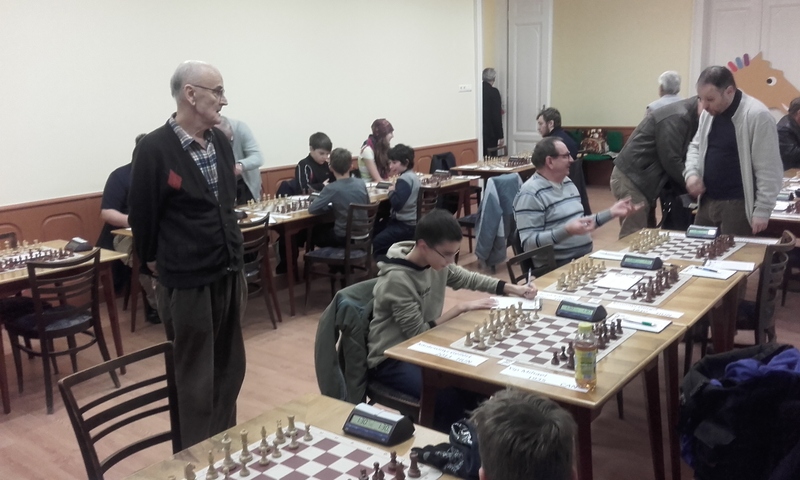 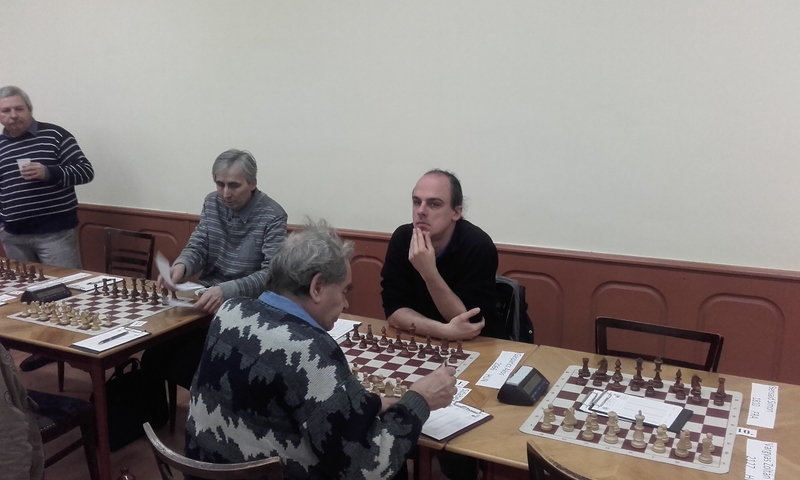 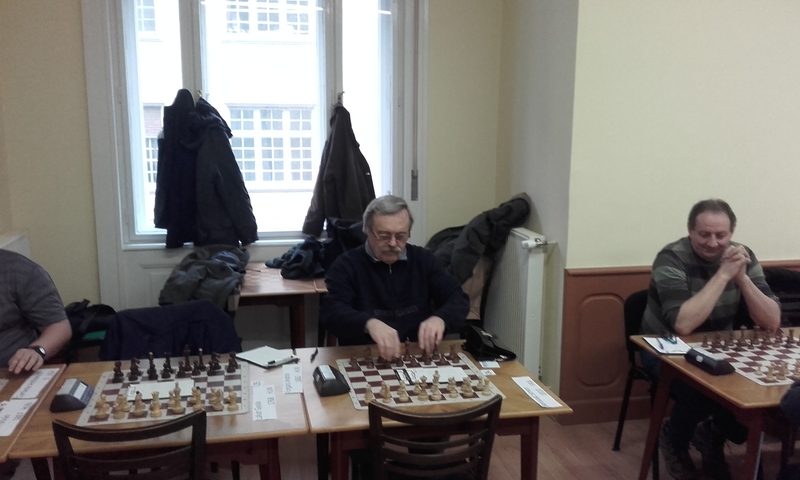 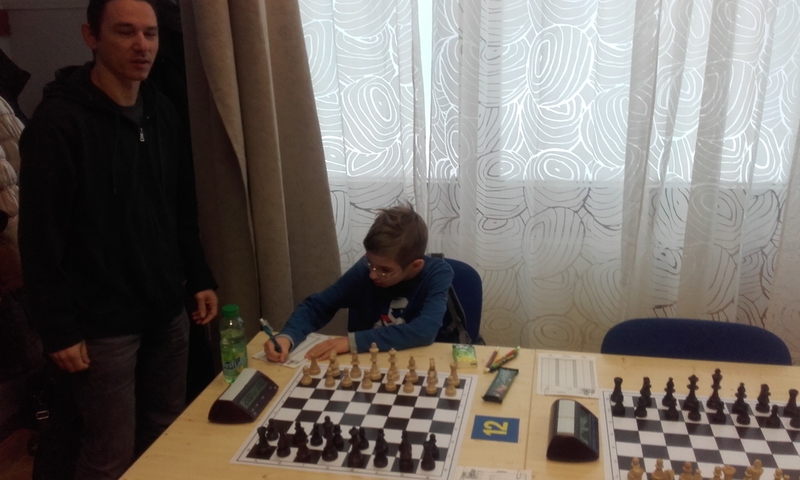 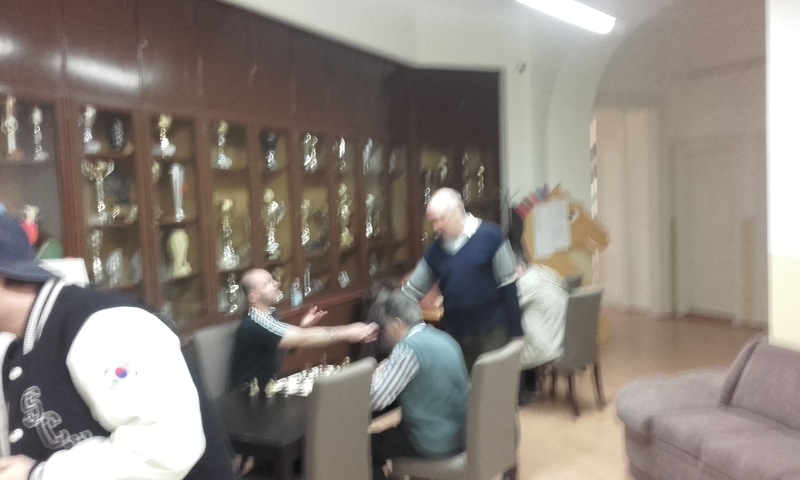 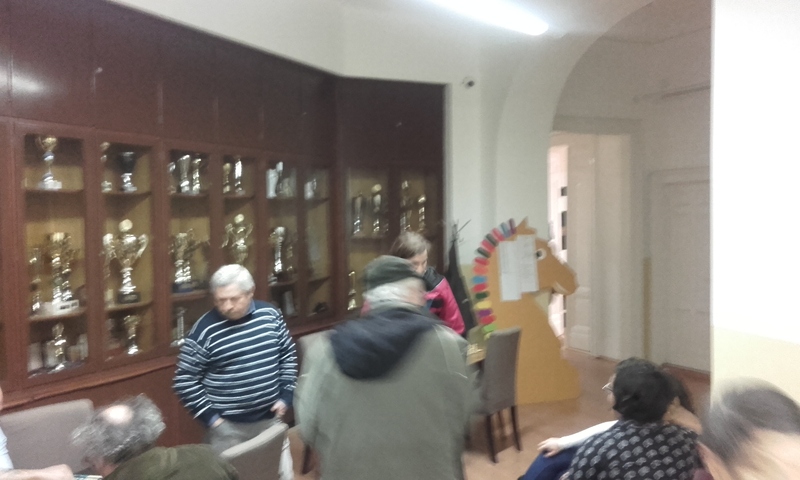 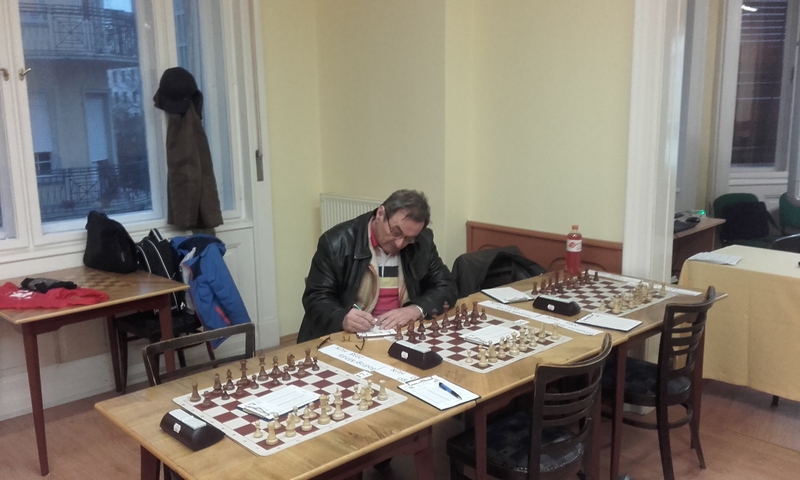 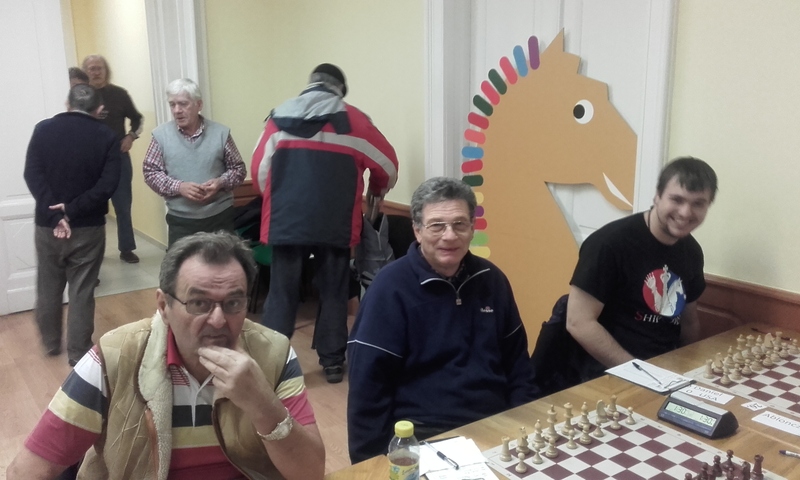 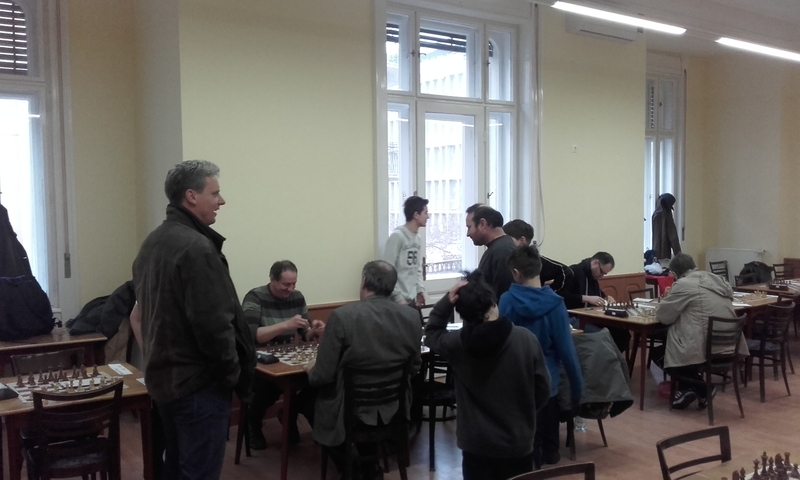 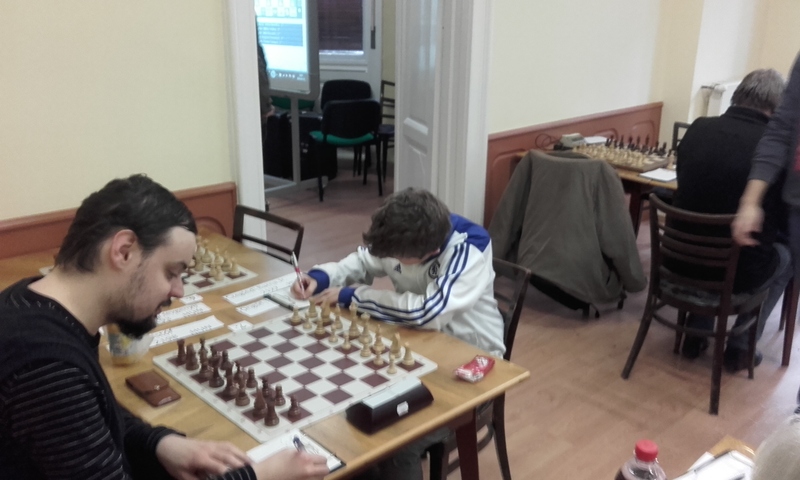 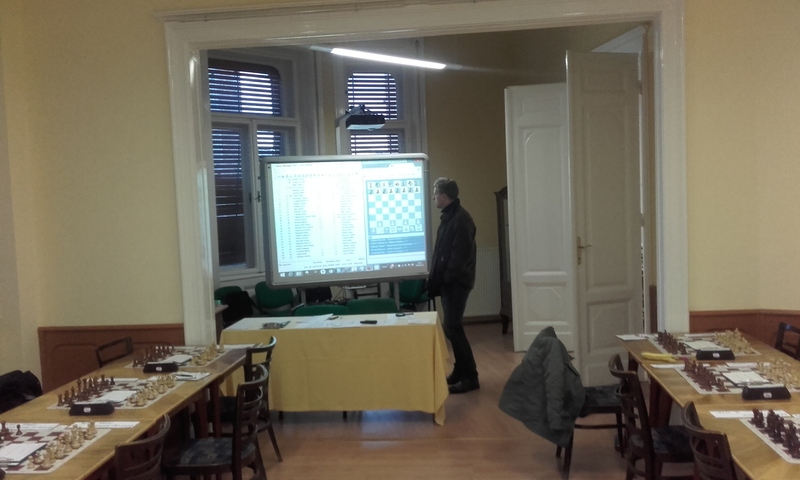 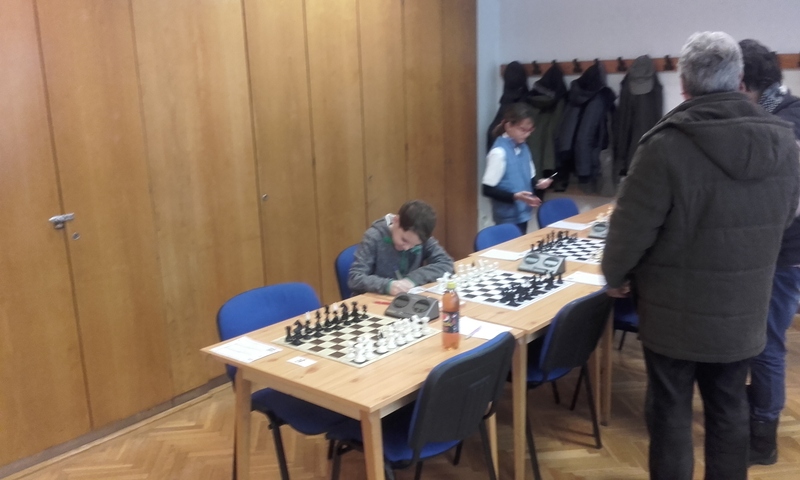 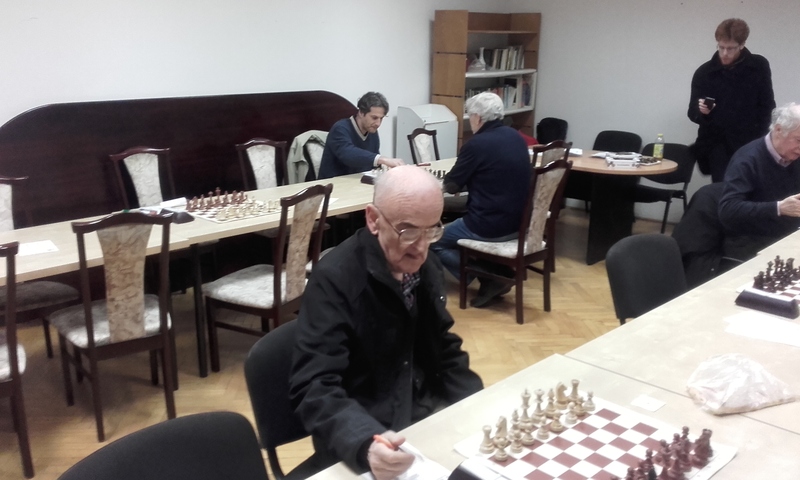 Veteran GM Czebe performed some passed pawn magic starting with 20.c6! 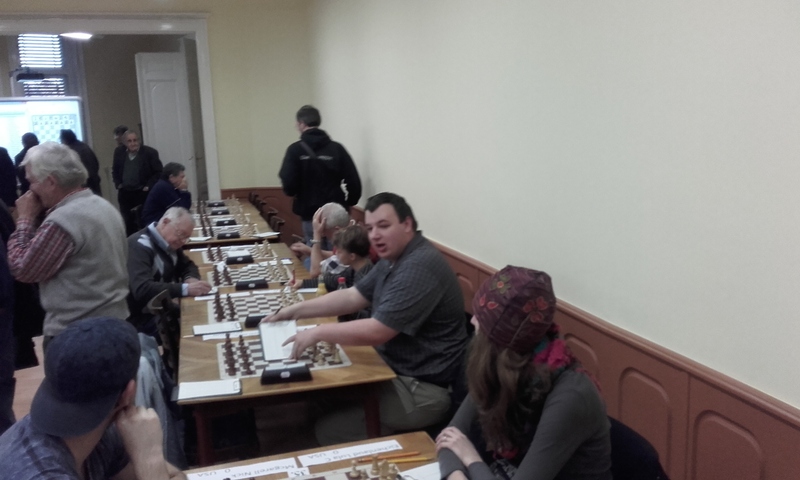 WGM Gara,T has 4/6 in the AUS Women’s Masters. 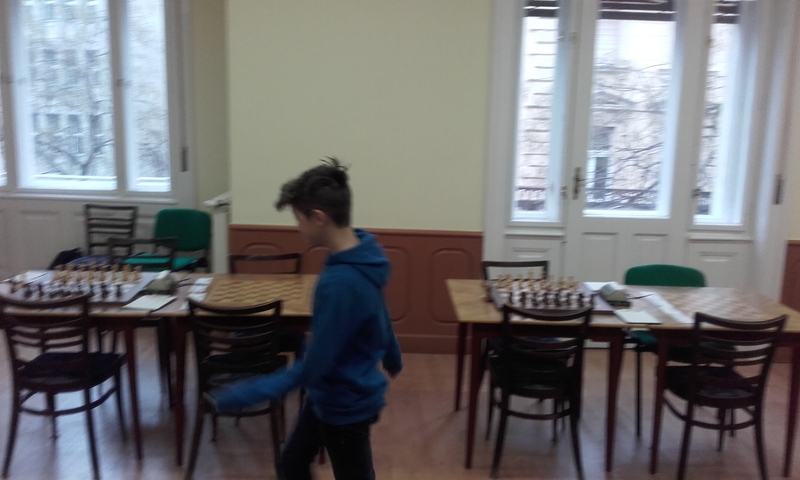 I think this was the final score. 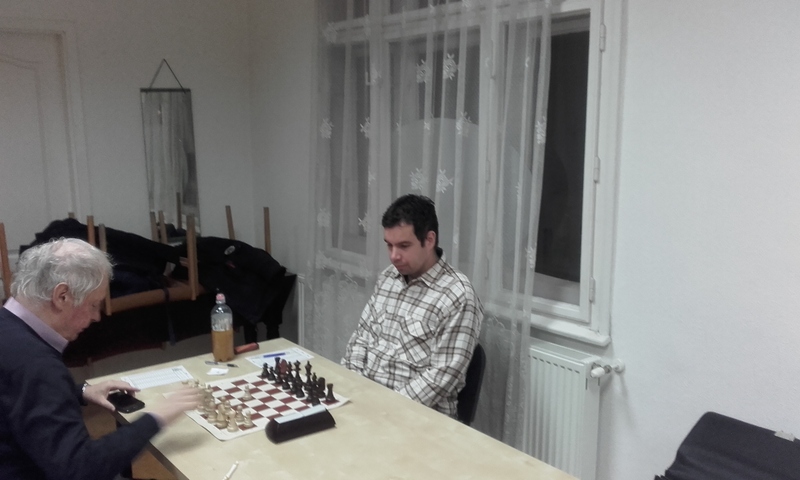 I contributed a win after winning a pawn in the opening and then had to 90+ moves to convince my opponent to resign. 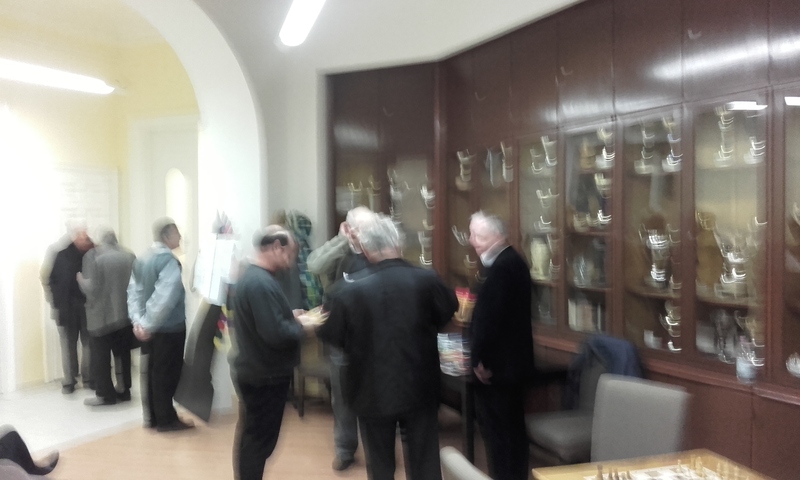 It was quite cold at the old RAK club,around 12.5C. 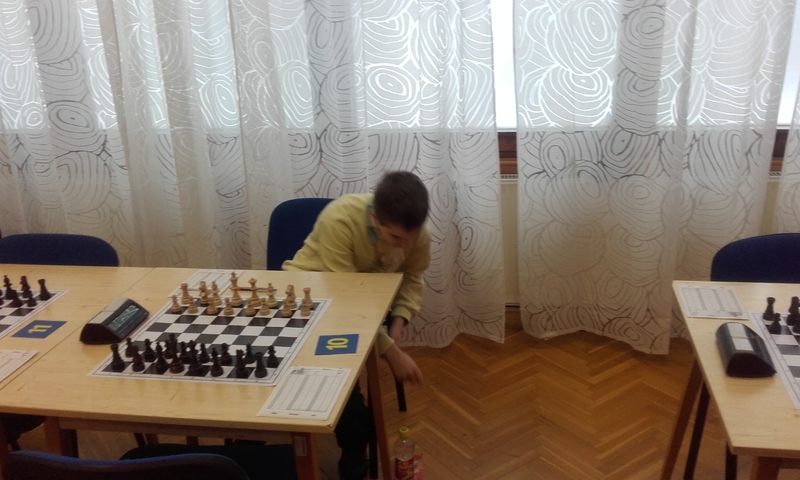 One of the advantages of being the home team is to expect this kind of thing. 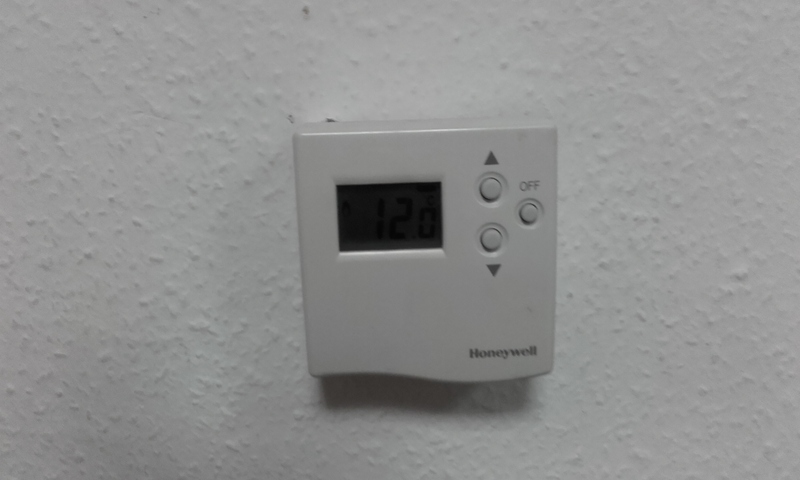 The regulation minimum temperature is 18C I don’t think this was ever reached. 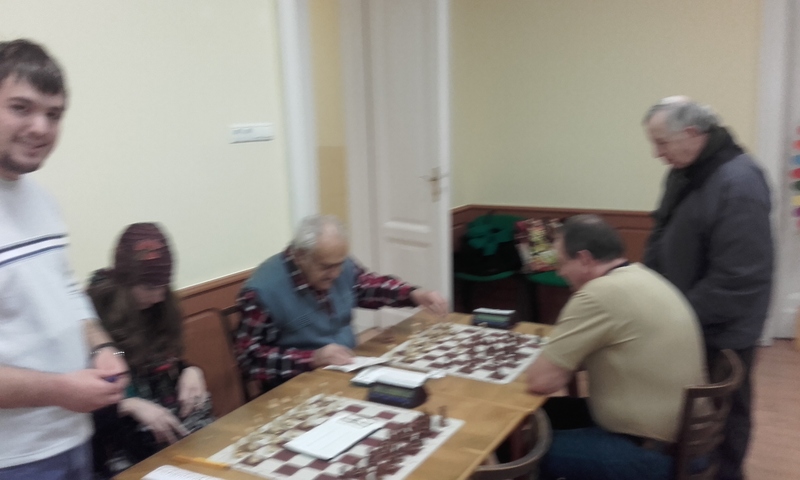 The Captain bought the traditional chocolate bars for everyone and we also had cookies for extra strength. 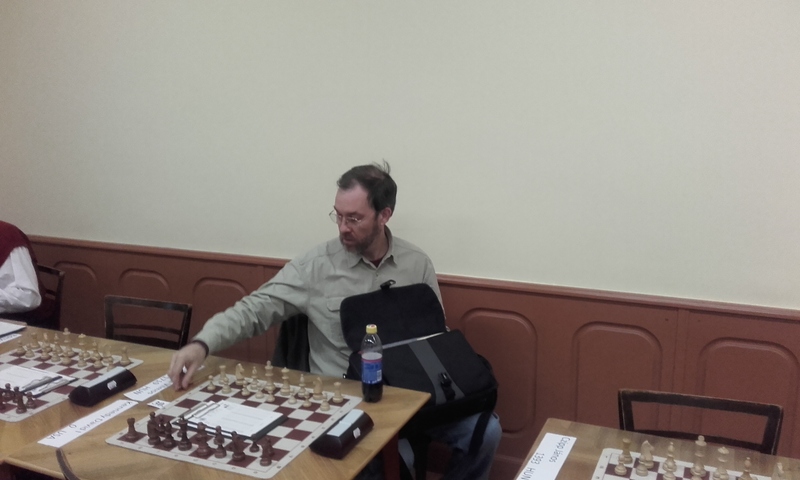 Black is calling the shots with the better structure and more active bishop. 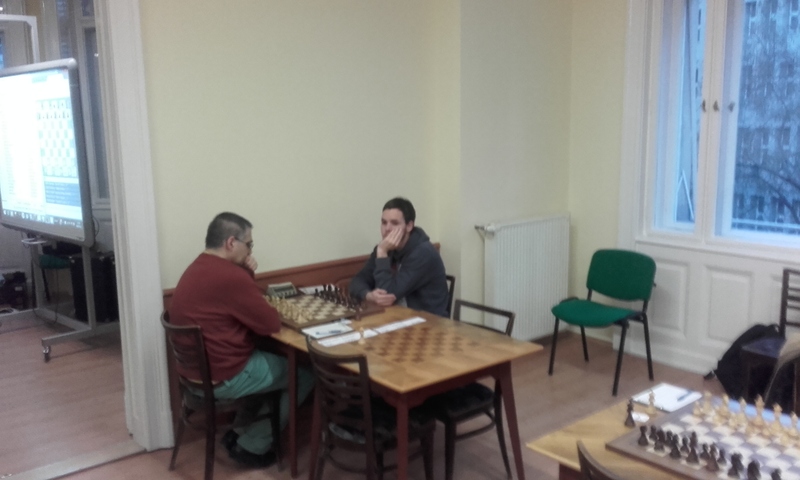 Black won a pawn with a little tactical shot 36..Rxd4!+ and then converted in a long patient technical phase. 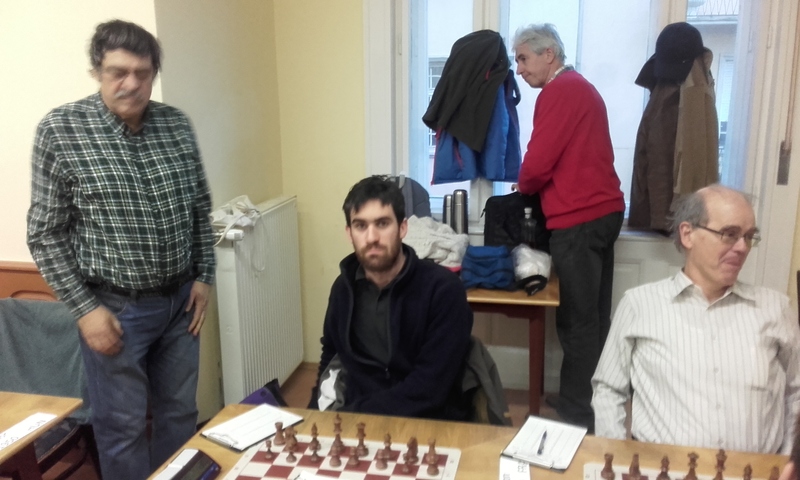 FM Grimm Daniel, IM Szalanczy Emil and IM Nemeth Zoltan share the lead with 6.5/8. 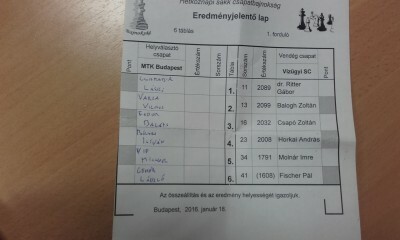 Here are the main fights for the last round. 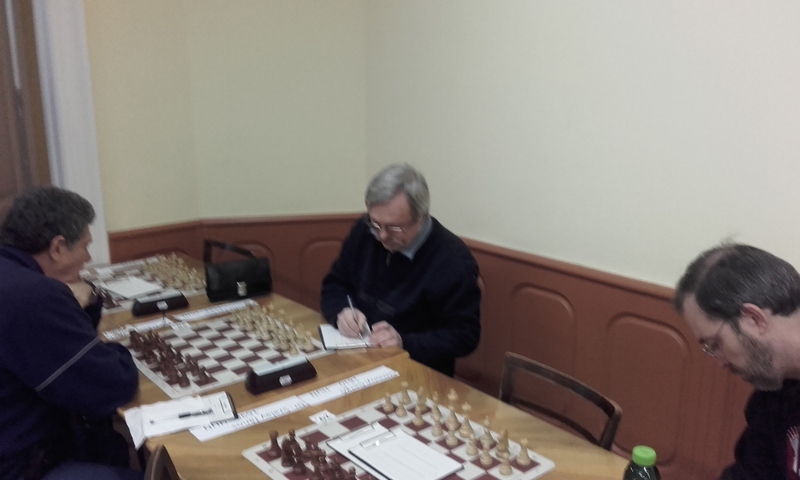 I managed to draw after I lost control of a nice position on the White side of a Benko Gambit. 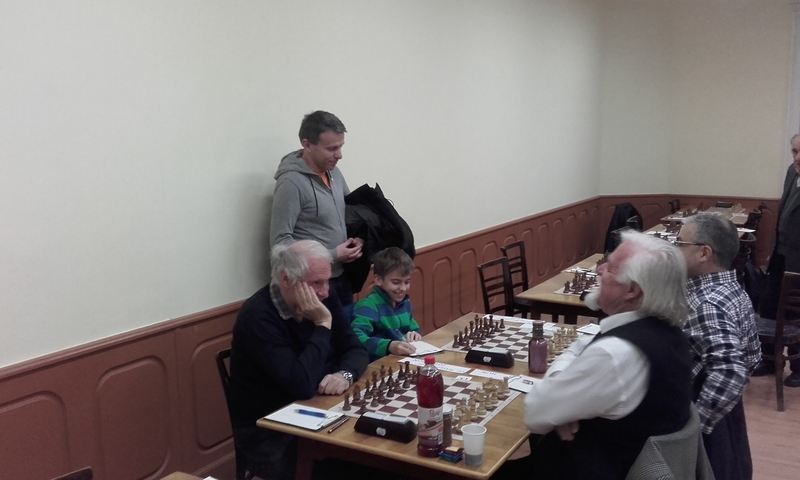 White has an ideal Benko with the center and a well-advanced a-pawn. 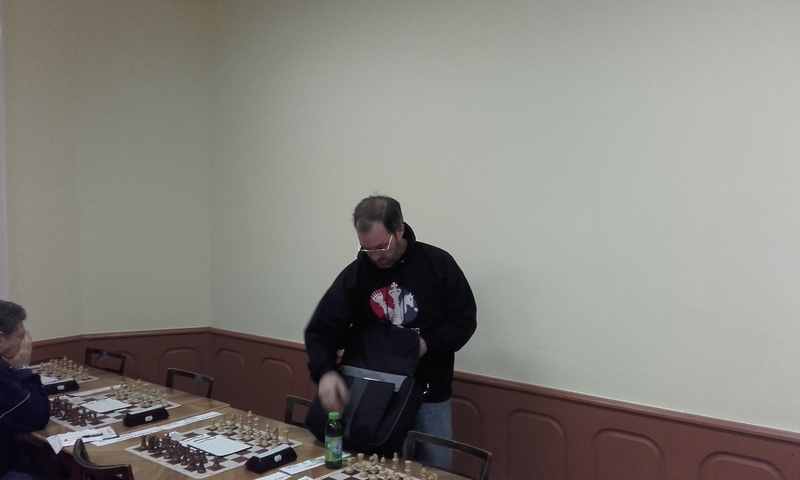 The Bg7 is passive and all White has to do is nurse the central space wedge. 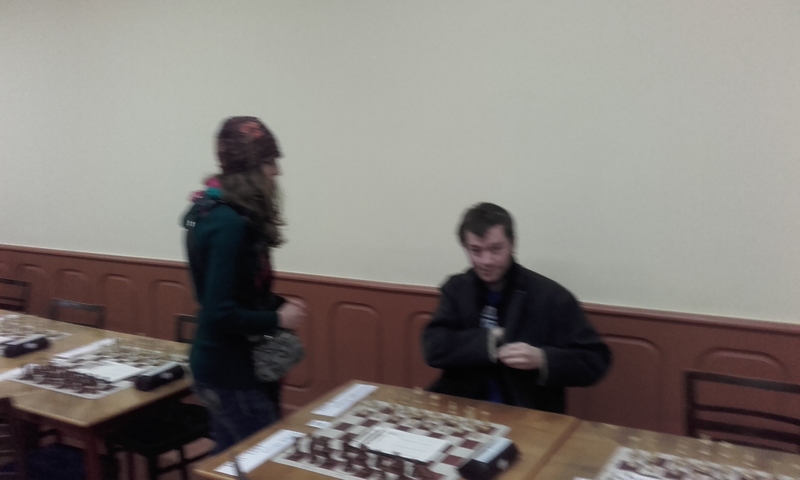 Somehow I lost control of the position and had to fight for a draw. 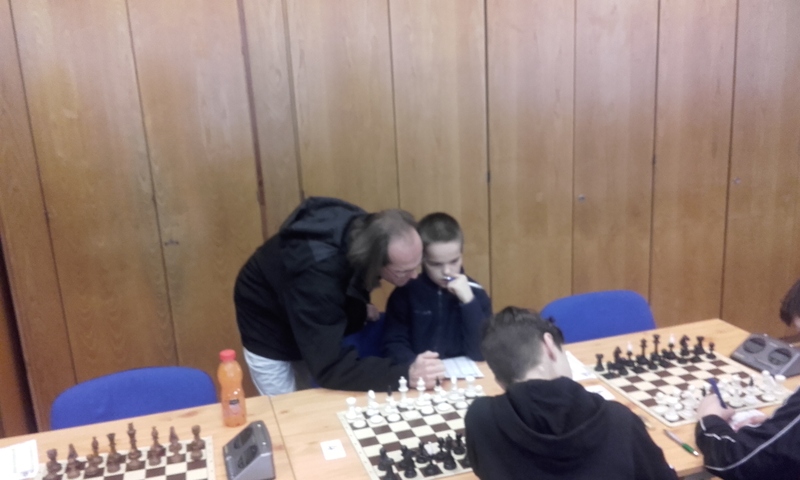 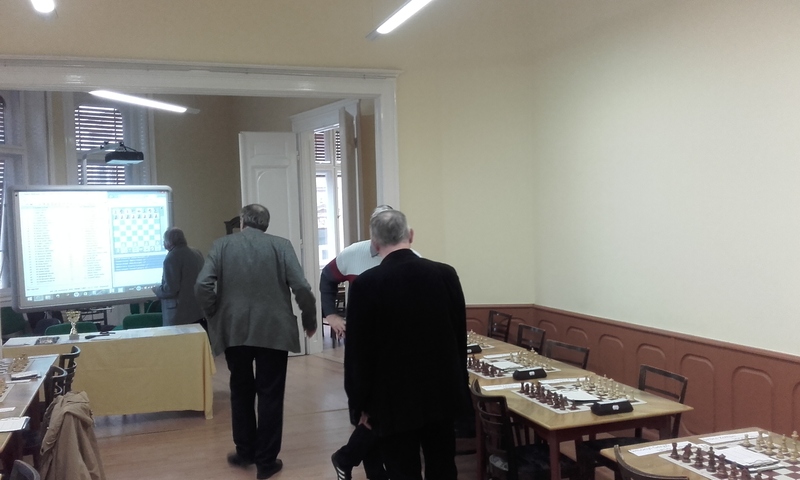 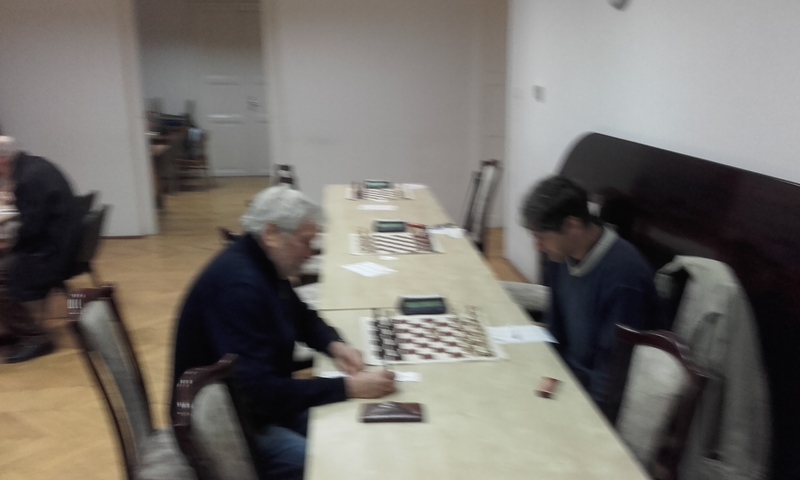 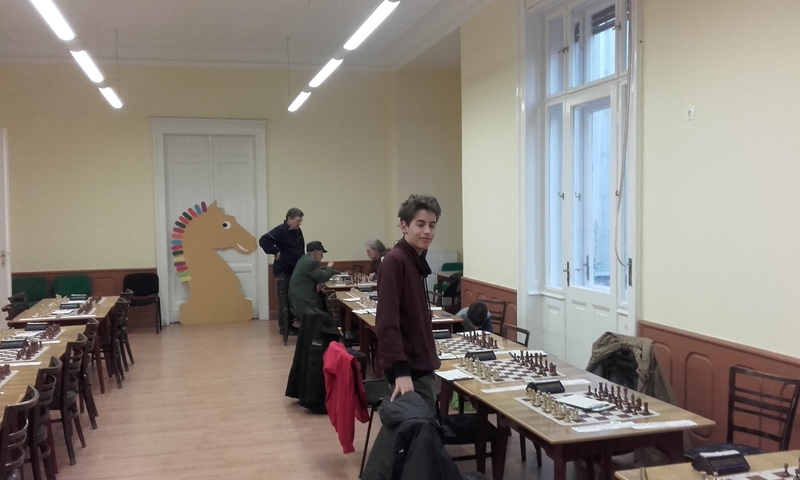 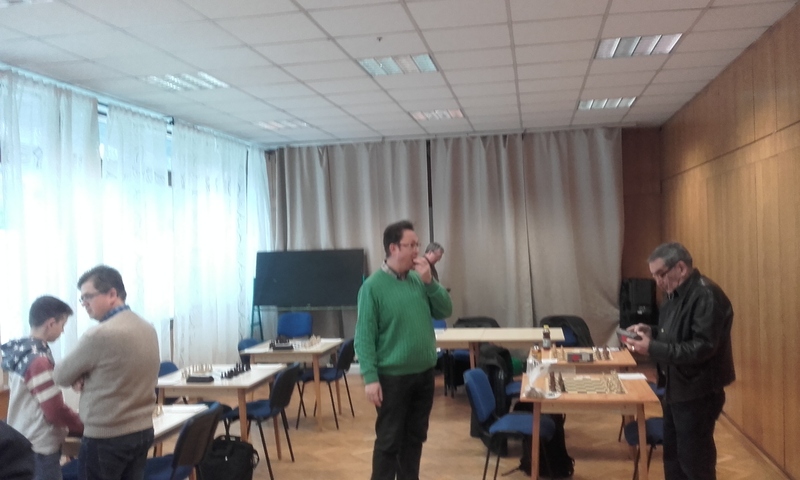 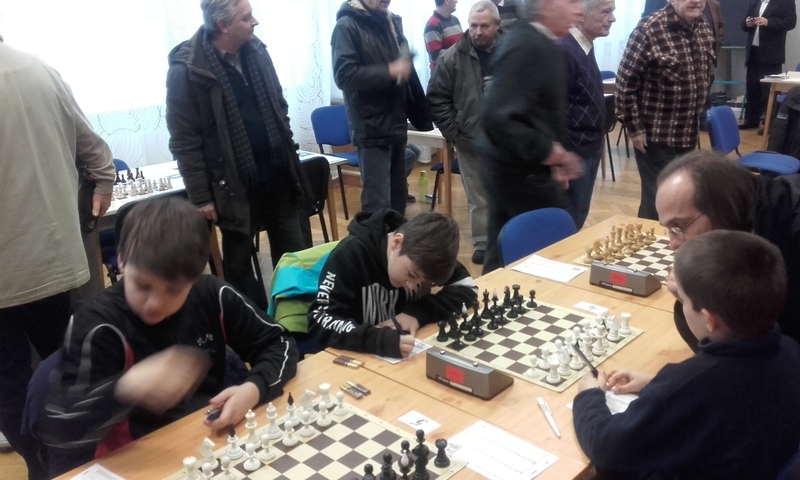 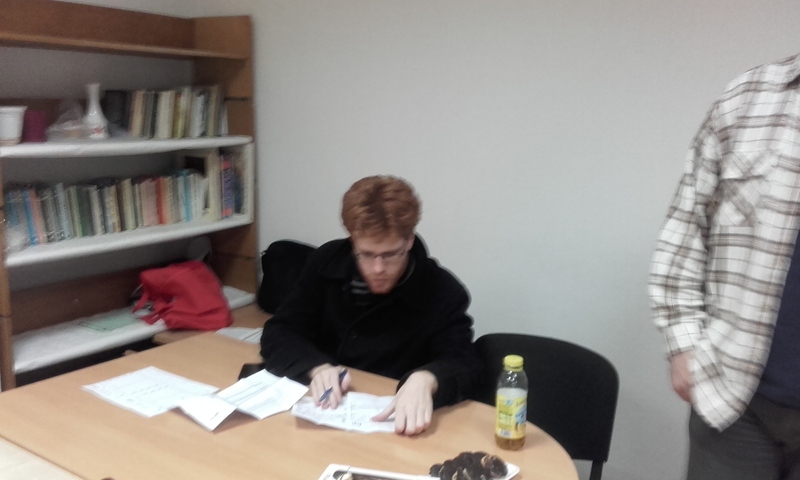 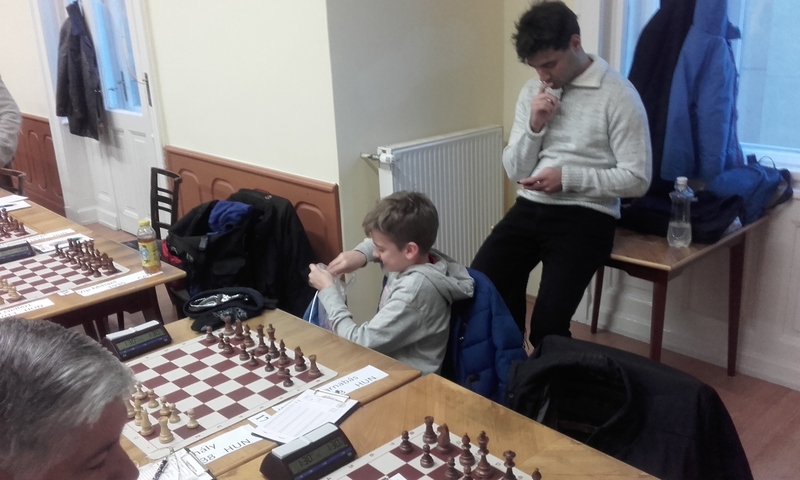 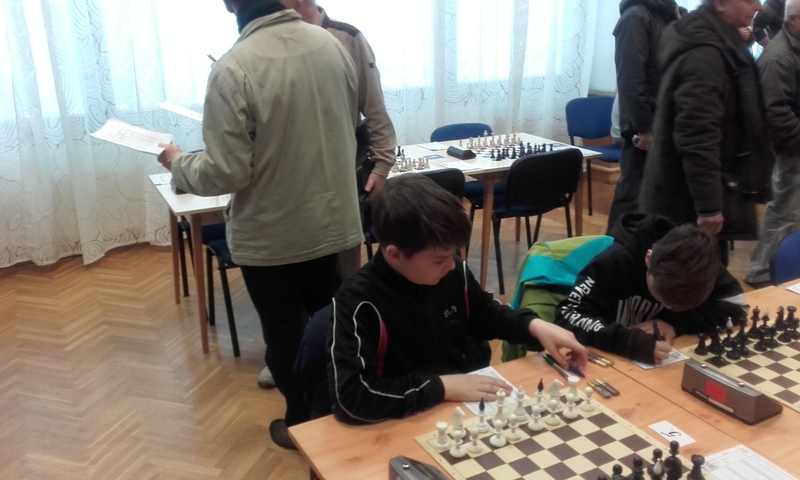 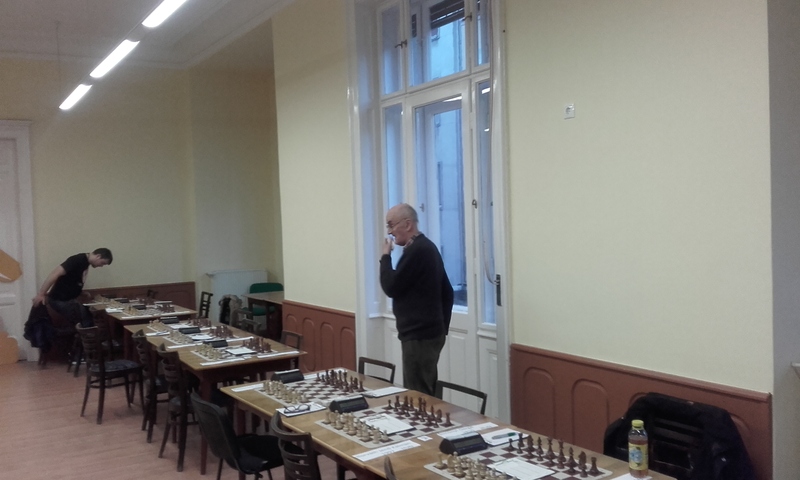 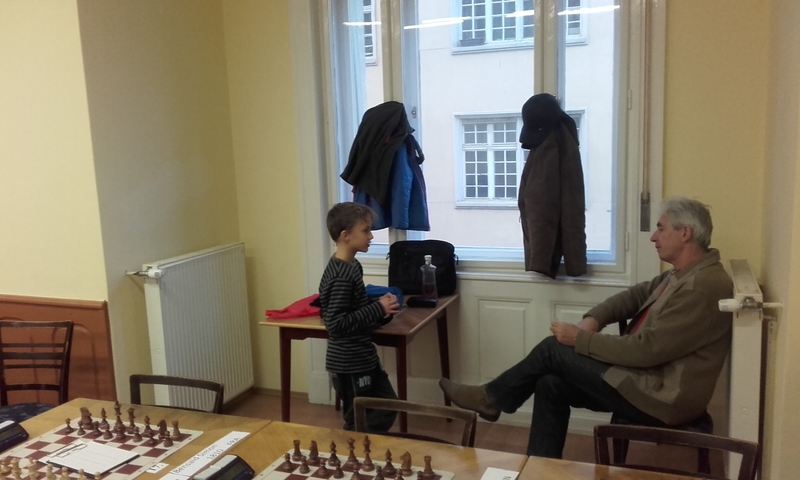 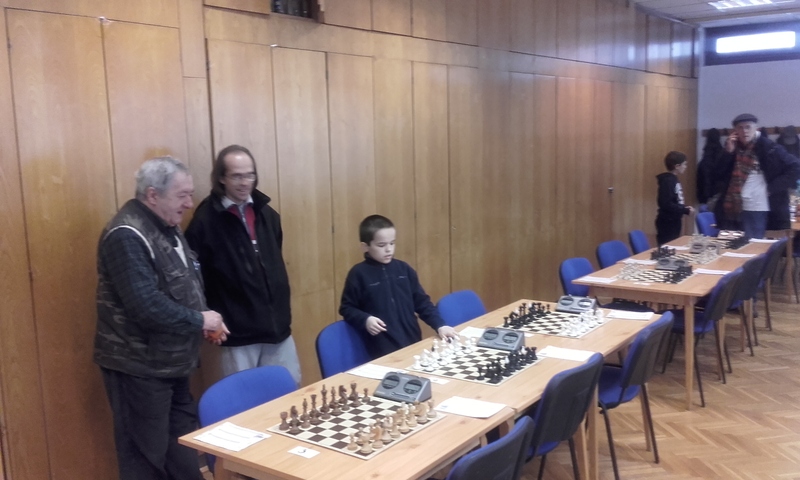 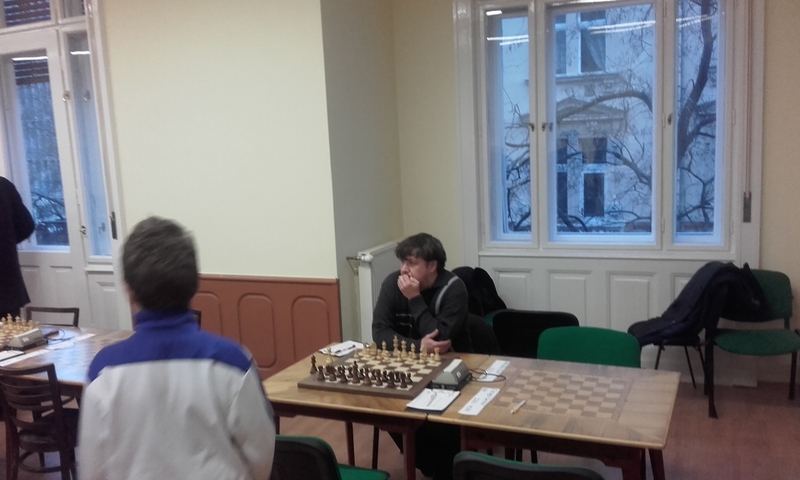 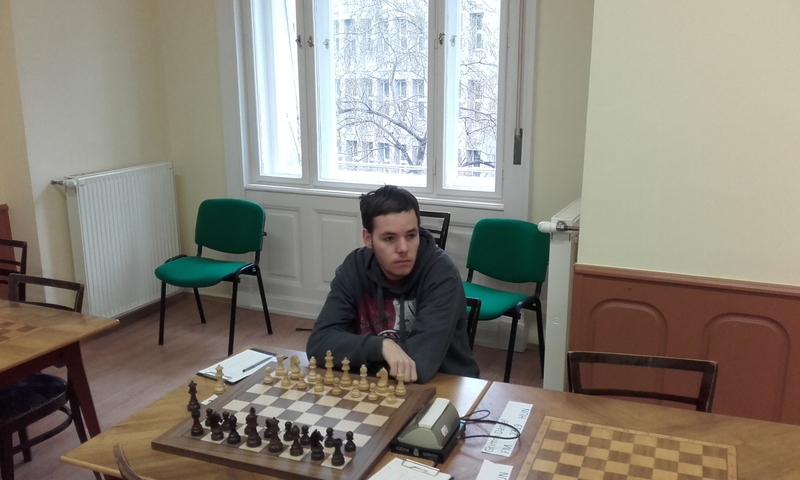 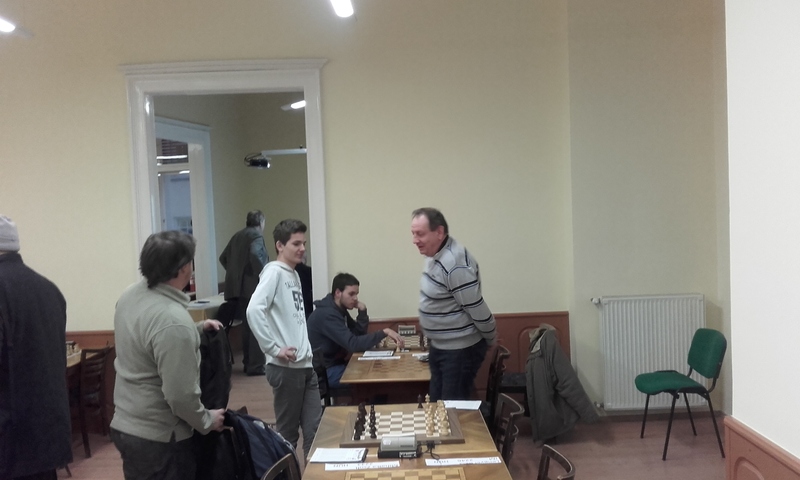 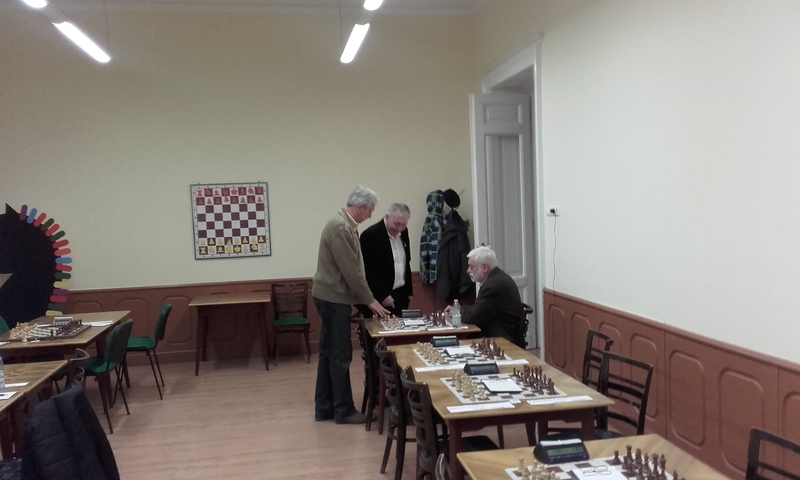 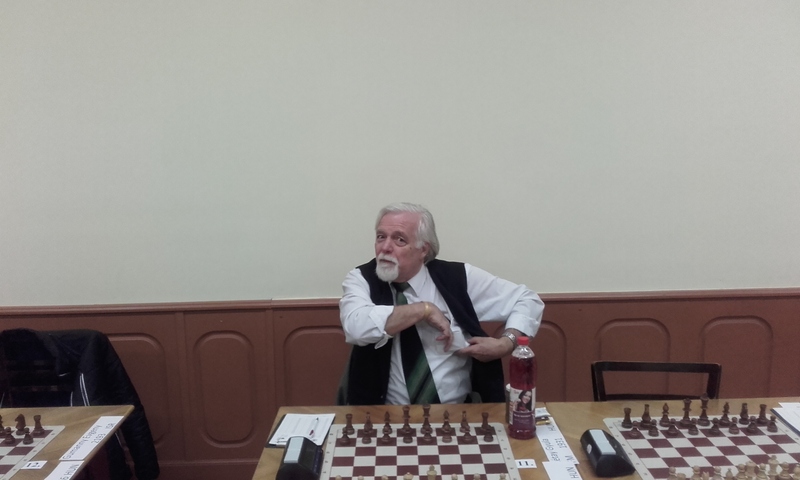 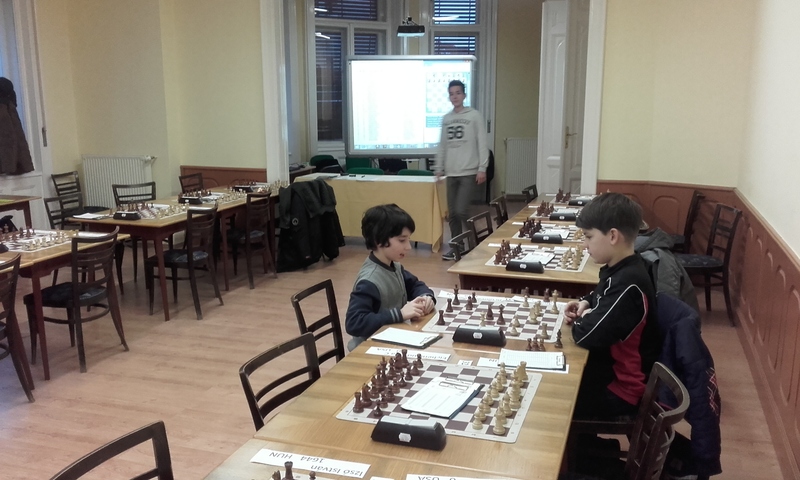 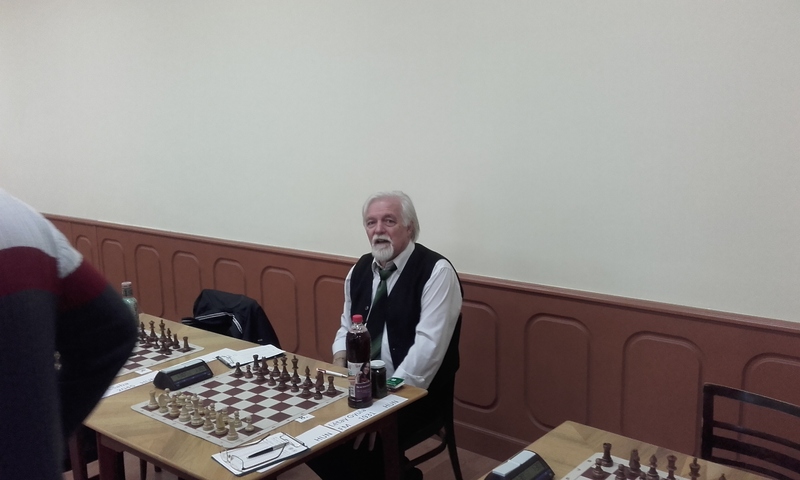 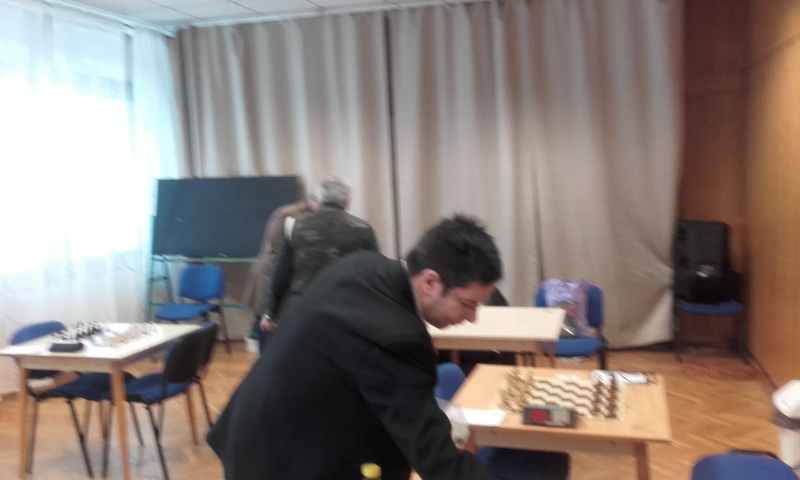 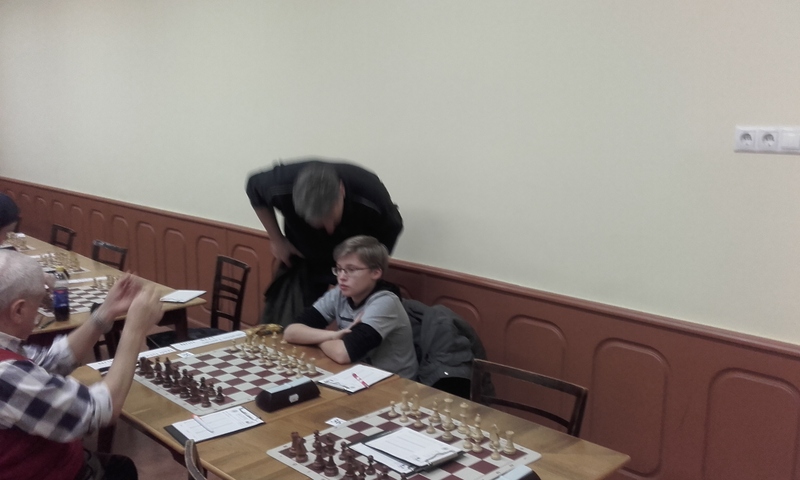 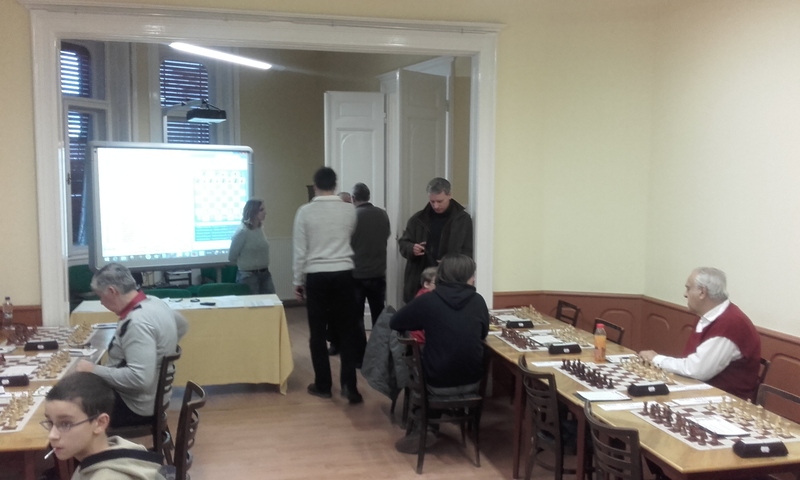 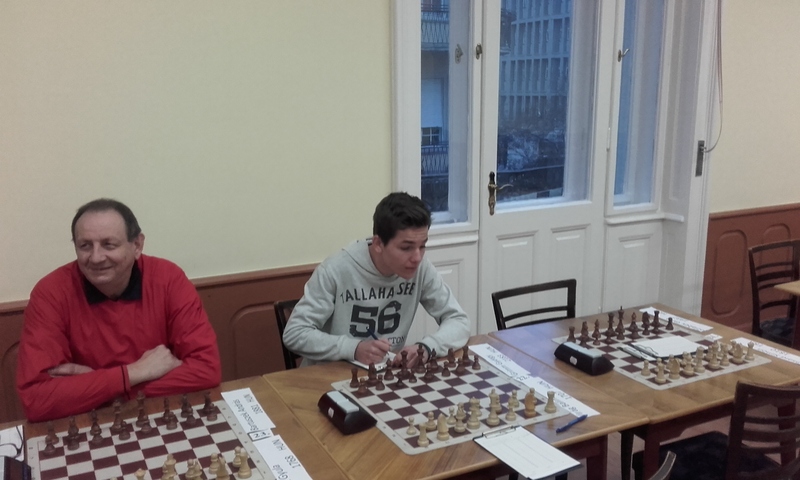 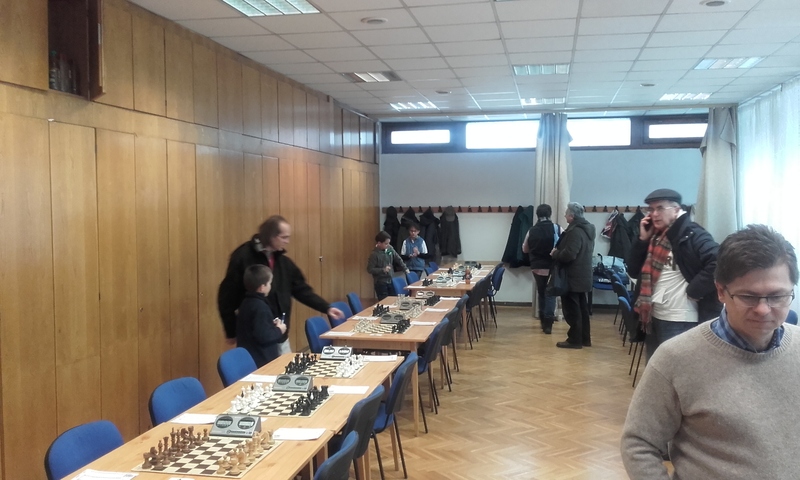 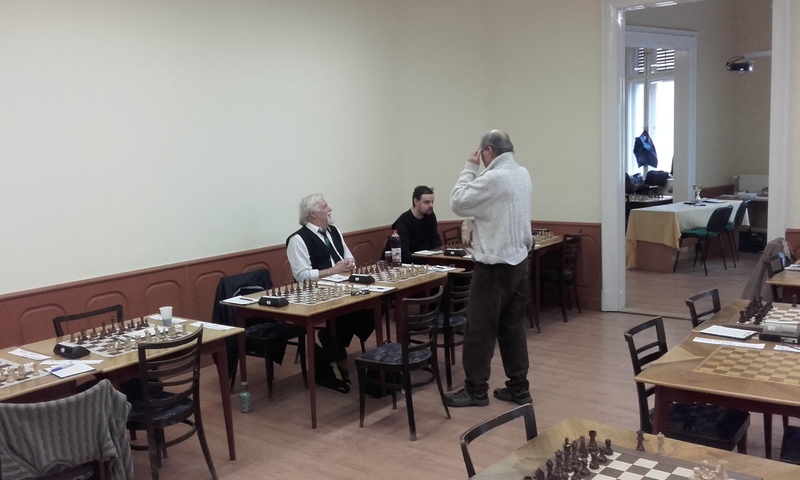 I had a long tough draw today as Black against the promising junior Karacsonyi Gellert. 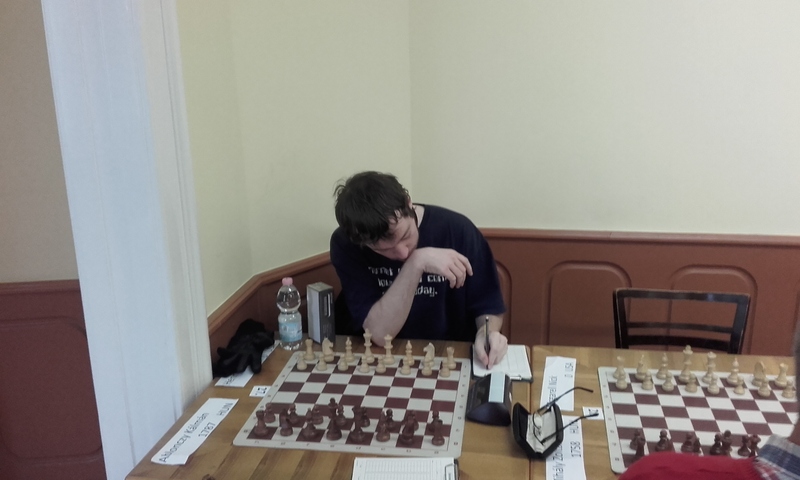 FM Grimm Daniel beat IM Szalanczy Emil on board 1 to take over the lead in the big action.